Every household has their own special Christmas traditions and the Shankly family are no different. From special family rituals, to Bill’s favourite festive tipple and the ever-present beautiful game, discover what the festive period was like in the Shankly household. We spoke to Jeanette Shankly, Bill’s second daughter, about what Christmas was like in the Shankly household with Bill, Nessie and her sister Barbara. Despite his unwavering commitment to football; Bill Shankly was a big family man and loved to spend Christmas with his loved ones. One of 10 children born to John and Barbara Shankly, his nine siblings were named Alec, James, John Jnr, Bob, Netta, Elizabeth, Isobel, Barbara and Jean. Coming from a large, loving family, Shankly placed a lot of worth and tribute to the family unit and carried these values into his own family. Bill met his wife ‘Nessie’, or Agnes Wren Fisher, whilst he was stationed as an RAF Corporal outside Glasgow at Bishopbriggs, she was serving in the WRAF. They were married in Glasgow in 1944 and had their first child, Barbara, in April 1945. It was another 6 years until Nessie gave birth to Jeanette in Carlisle, on 20 February 1951. In these early years, the Shankly family did a lot of moving around due to Bill’s managerial career. However, a Shankly family Christmas was always a very traditional affair. Every year, the Shankly’s would spend Christmas at their home and Nessie would cook their traditional Christmas dinner. It wasn’t until 1959, when Bill became the manager of Liverpool F.C, that they eventually put down permanent roots. They moved to a house in the West Derby area of the City, an area the family have never left to this day. When she was young, Jeanette remembers their very traditional, happy family Christmases. However, on occasion, Bill would have to work. If by luck he wasn’t involved in football one way or another, he would spend the festive period with his family. To celebrate this, he would even stretch to having a bit of whiskey in his tea. Shankly wasn’t a big drinker, but on the rare occasion he did, it would always be a small whiskey. Jeanette also remembers when Bill was managing Liverpool, every Christmas the Shankly family would receive a huge hamper full of festive food for the family to enjoy. It was always a treat that Jeannette remembered. 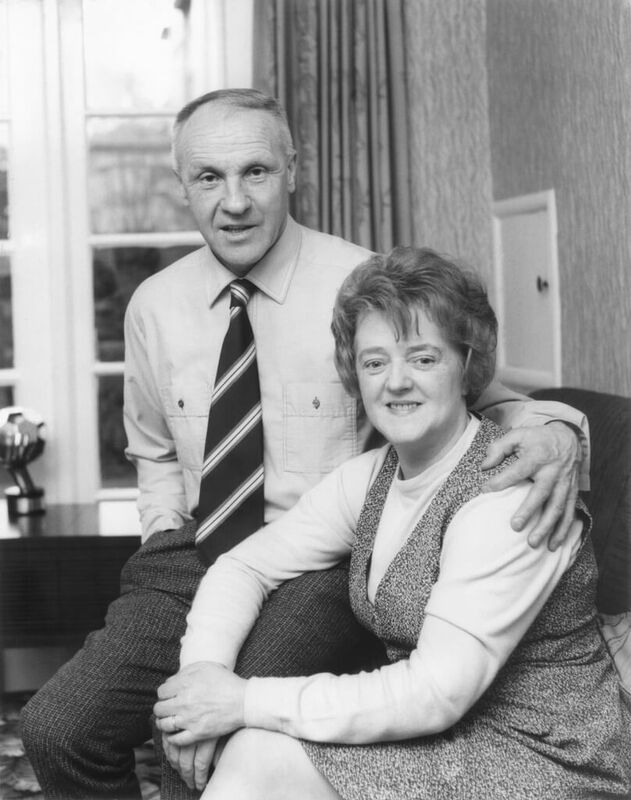 The Shankly family grew in size when both Barbara and Jean grew up and married. Barbara would go on to have three children, Karen, Pauline and Emma. Jeanette soon followed suit with Jenny and Claire. Even then the whole family would usually go around to Bill and Nessie’s on Christmas Day or Boxing Day to celebrate the festive season together. However, it was still always touch and go whether he would be able to stay, as of course, football dominated his life! Jeannette remembers many happy years spent in the Shankly household at Christmas, filled with presents, a beautiful tree and homecooked food. She would go on to have a third child, Bill’s sixth grandchild and his one and only grandson, Chris. Sadly however, Bill would pass away before he was born. Of course, The Shankly Family weren’t the only ones who knew that Christmas Day and football went hand in hand. Today, Christmas Day is football free, however up until the 1950s it was once as much of a Christmas Day staple as the Queen’s Speech and pigs in blankets. 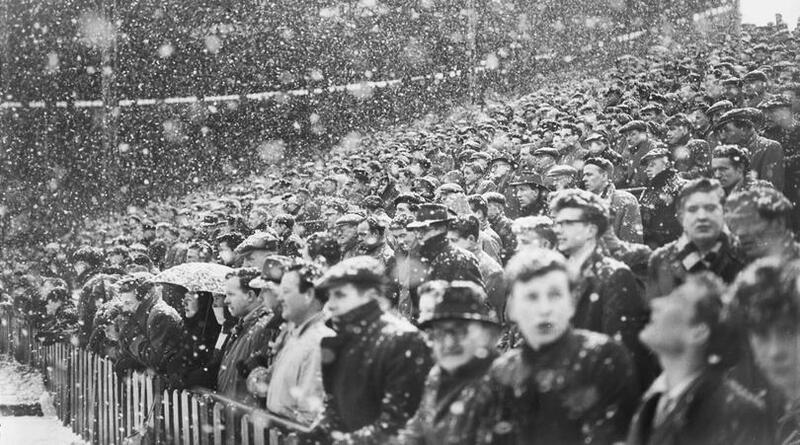 One of the great festive traditions that began in 1889 and remained very popular until the end of the 1950s, the Christmas Day home fixture was often the occasion when clubs attracted one of their highest home gates of the season. But throughout the 1950s, attitudes changed towards playing sport on the 25th December. Christmas Day 1957 saw a near full round of fixtures: 37 out of a maximum 46 games took place; in 1959 there were just two games. Understandably, Christmas Day football was very unpopular with the players, who felt it meant they could not enjoy the festivities and see their families. As transport systems declined and crowds began to dwindle, the fixture eventually disappeared from the football calendar. The final December 25th programme of games in England was in the 1957/58 season. Today, games are still played on Boxing Day but Christmas Day football is a thing of the past. We’ve hope you’ve enjoyed our look inside the Shankly family Christmas. 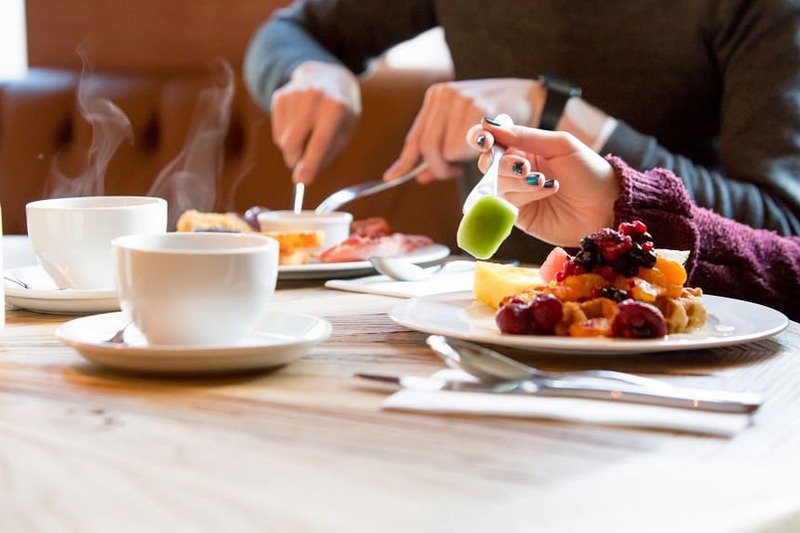 If you and the family are looking for the perfect place to enjoy a festive meal or a Christmas retreat together, look no further than The Shankly Hotel in Liverpool. Offering a delicious home cooked menu, a relaxing and luxurious atmosphere and a range of festive entertainment, our hotel is the perfect place to celebrate Christmas as a family. Why not book a stay in one of our beautiful and unique rooms, or take in the fascinating memorabilia that is displayed around the hotel? From festive afternoon tea experiences, to amazing football tours and wonderful festive events, a family Christmas at The Shankly is always memorable. Keep up to date with everything happening at the hotel by following The Shankly Hotel Facebook. 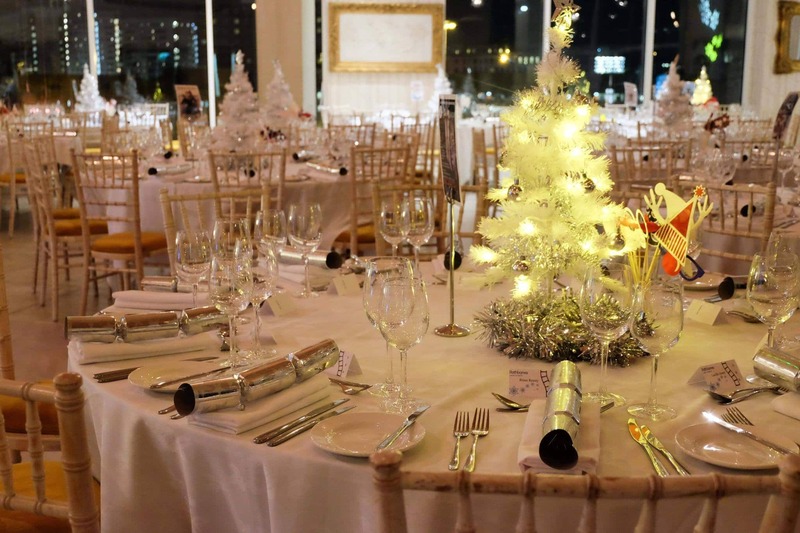 If you’ve always dreamed of hosting your wedding in a winter wonderland, with a beautifully frosty view, this winter wedding package from The Shankly Hotel is perfect for you. 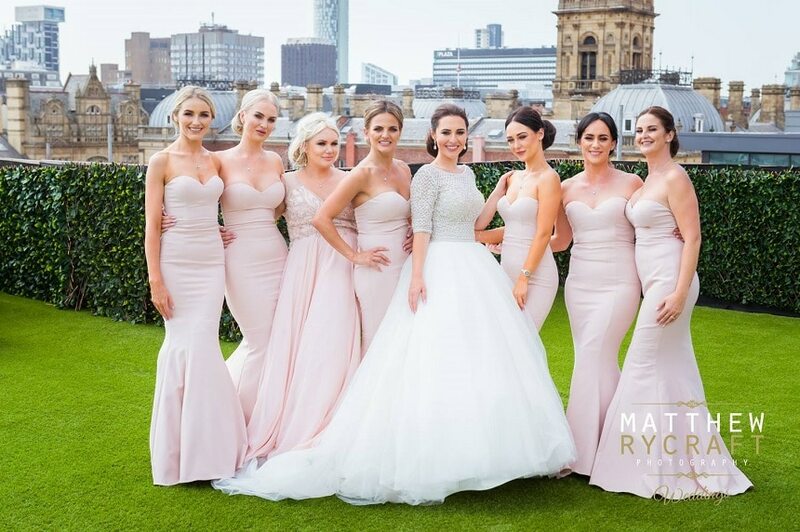 What could be better than brightening up those gloomy winter months than by planning the biggest celebration of your life, at one of the most stunning wedding venues in Liverpool? Set on the rooftop of The Shankly Hotel, The Garden of Eden is one of a kind. 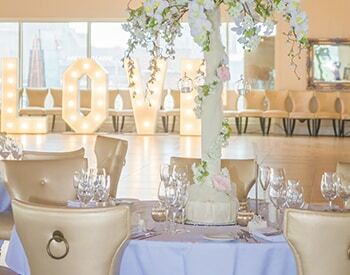 Looking out over the iconic Liverpool skyline, it is the ideal setting to say, ‘I do’. This wonderful winter wedding package can cater for 80 guests during the day and 150 guests in the evening. *Additional charges will apply for extra guests both day and evening. *Prices will vary subject to date of wedding. 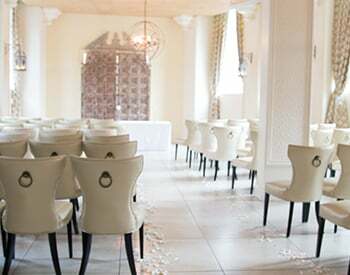 Nestled in the heart of Liverpool city centre, The Garden of Eden is one of the most beautiful venues to exchange vows. 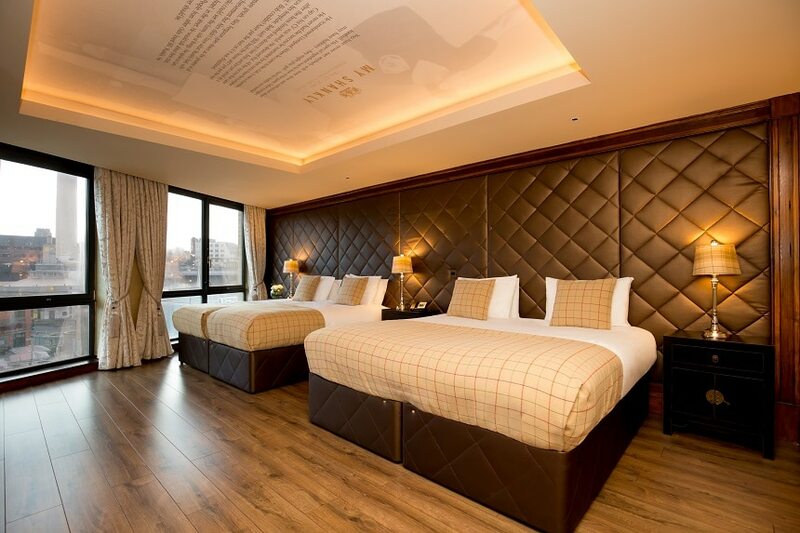 Set within a breathtaking glass box, you and your loved ones will have unrestricted views of the city’s most iconic landmarks, including the Three Graces and Pier Head. 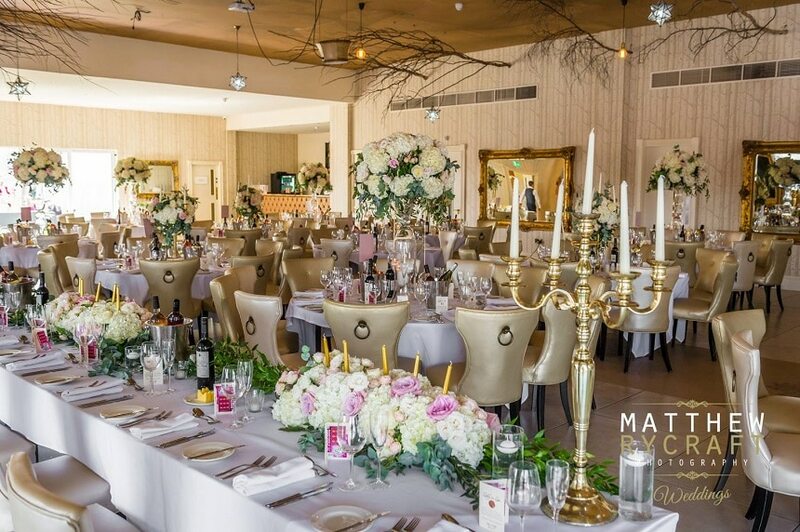 Our stunning venue has space for both indoor and outdoor celebrations, ensuring that you and your guests will have a truly memorable day. The magical indoor setting features luxurious botanical interiors, opulent floral features and inventive seating arrangements that really make the most of the space. On the outdoor terrace, you will find enchanting wintery trees and heavenly white features which will form an idyllic backdrop to your winter wedding photographs. 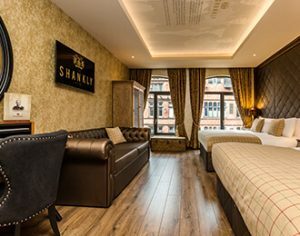 As well as the beautiful Garden of Eden, The Shankly Hotel boasts luxury suites, a bar and restaurant and a unique Bill Shankly museum. Each stunning suite within the hotel has been designed with pure opulence and comfort in mind, from fabulous plush furnishings to exquisite amenities, no two suites are the same. 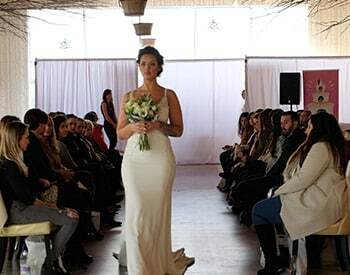 If you are planning a winter wedding with us, our hotel offers couples the wonderful Bridal Suite. With a large Jacuzzi bath, a private snug and double shower, as well as a king-sized bed, you’re sure to have the night of your lives. The hotel is also home to the Bastion Bar and Restaurant, a luxury space that is perfect for enjoy unique dining experiences. Decorated with never-seen-before Bill Shankly memorabilia, take in the fascinating history as you enjoy some delicious food and drink. Take the stress out of your wedding day by letting our dedicated team at The Shankly Hotel lend a helping hand. 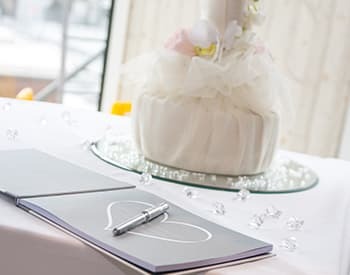 Drawing on years of experience, our devoted and passionate wedding planners will be there every step of the way to help you create the wedding of your dreams. We pride ourselves on being at the very top when it comes to wedding planning, you’ll always get the best advice from us. We specialise in making your winter wedding dreams a reality, whether you want a large-scale celebration, or an intimate and cosy affair with your closest loved ones. At The Shankly we also offer some fabulous additional wedding services that are guaranteed to make your day extra special. From unique transportation, to showstopping entertainment, live music, spa treatments and much more, we can give your wedding the wow factor. So, what are you waiting for, book your magical winter wedding with us today and begin your journey to happily ever after. If you would like to book our winter wedding package, ask us a question or come and look around our beautiful wedding venue call us on 0151 305 3753. Signature Live Sessions returns for yet another live music event, hosted on the rooftop of The Shankly Hotel in Liverpool. 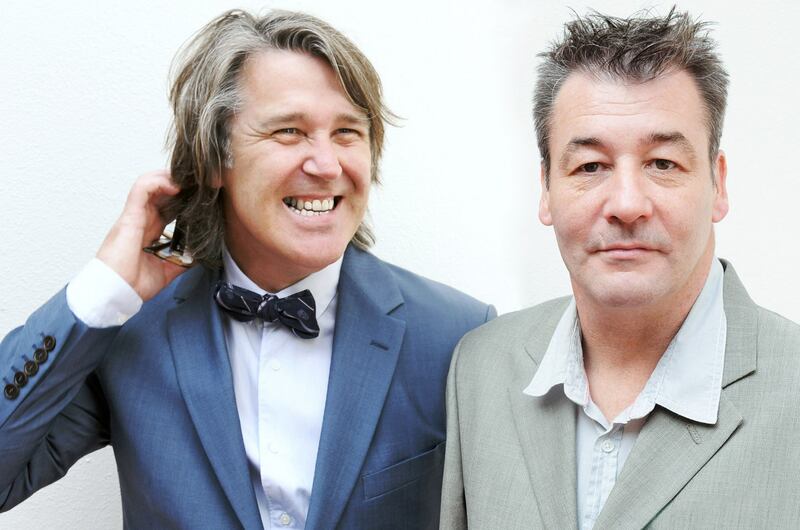 On 24th October we will be welcoming Kirby’s finest exports China Crisis, alongside British punk-rock band, The Vile Assembly. The most unique musical showcase in the city, we are proud to announce that as well as playing host to some amazing artists, our next concert will also be a homeless fundraiser. In recent years, homelessness has become an epidemic in Liverpool and across the UK. According to statistics released by Shelter homeless charity, more than 300,000 people in Britain are officially recorded as homeless. We hope to raise money for the homeless community to help combat this growing issue and get people off our streets. Every Signature Session event is completely free, however for this special performance we are asking guests if they would like to make a donation to help the city’s homeless. All proceeds will go towards Signature’s new homeless shelter initiative, The Cotton Street Project. At Signature we are extremely passionate about helping vulnerable people that find themselves without a home. The Cotton Street Project will welcome Liverpool’s helpless members of society to enjoy a unique and inclusive shelter. This is a completely new initiative in Liverpool and will bring the city an alternative approach to our homeless epidemic. This shelter will serve as a long-term solution and will aim to address the complex issues that face these people every day, from mental health and addiction, to the personal struggles. These people will have access to accommodation, a café, skilled workshops, social activities and professional support. Help us bring people together in Liverpool and really make a difference. Come along and show your support at our homeless fundraiser concert with Signature Sessions. If you’d like to know more about the Cotton Street initiative and how you can do more to help, visit our donation page. Curated and presented by The Farm’s Keith Mullin, we bring together the city’s most influential musicians alongside our brightest new stars, for an unforgettable evening of cinematic music. After the huge success of Red Rum Club and The Sums in July, followed by Sub Blue and The Farm in August, and finally Natalie McCool and The Christians in September, this month we are bringing you two more fabulous artists. We’re welcoming Kirby legends China Crisis and British punk band The Vile Assembly to grace our unique stage. Formed in 1979, China Crisis are a rock band from Kirby, near Liverpool. They were part of a new wave of Liverpool acts in the late 1970s and early 1980s, led by OMD, Echo and Bunneymen, The Teardrop Explodes and Frankie Goes to Hollywood. Inspired by the new romantic camp, the band gave their pop songs more edge by injecting political commentary and bluesy reggae rhythms. In the beginning the band was made up of vocalist and keyboardist Gary Daly and guitarist Eddie Lundon, who shared an affection for the likes of Stevie Wonder, Steely Dan, David Bowie and Brian Eno. The pair eventually asked drummer and percussionist Dave Reilly to join them in 1981, and in 1982 they released their debut single “African and White” as China Crisis. The band were signed to Virgin Records and recorded their debut album, Difficult Shapes & Passive Rhythms: Some People Think It’s Fun To Entertain, which was released in December 1982. They re-released “African and White” shortly after which reached number 45 in the UK singles charts. The follow up single, “Christian” made it to number 12 in the early 1983 and brought them to national prominence. Over the years, a number of members left and joined the group, however Daly and Lundon remained constant. Their third album, Flaunt the Imperfection, was produced by Walter Becker of Steely Dan fame and reached No. 9 in the UK Albums Chart in May 1985. The band’s last studio album, Warped by Success, was released in 1994, following their parting of ways with the Virgin label. The album produced their final studio chart single, “Everyday the Same”. China Crisis toured Europe and USA during the late eighties and performed in front of crowds as large as 87,00 in Germany. Since then, they have played a number of live performances and fundraisers events across the world. The Vile Assembly are a British punk-rock band famous for being whistle blowers on our unjust society. They say what needs to be said through the universally understood medium of music. Made up of Mark Wainwright, Mark Webb and Paul Mason, Vile Assembly are a tight knit trio of songwriters, musician and producers. The band was formed following a fortuitous meeting between these three life-long friends in a New York café, where they decided enough was enough and the troubles of the world needed to be voiced. Vile Assembly’s lyricist and vocalist Paul Mason spent a month living on the streets of Liverpool to experience destitution and our ‘vile’ society first hand. This horrendous experience inspired the band to create the music we all know and love. 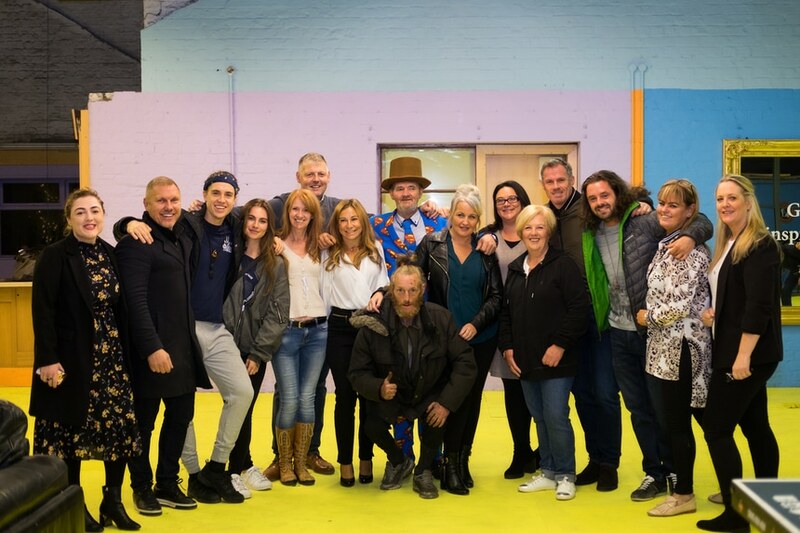 We can’t wait to see them take to the stage at this very fitting event for the homeless people of Liverpool. 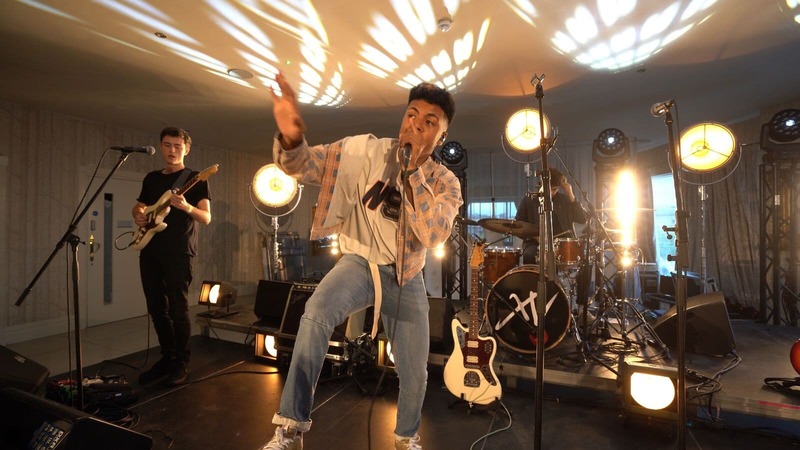 Every month, Signature Live Sessions takes over the spectacular rooftop venue in The Shankly Hotel to host an unforgettable FREE live music event. Each show invites different and exciting new acts to take to the stage and perform their hits for an eager, music loving audience. Boasting magnificent views over the famous Liverpool city skyline, this amazing venue provides one of the most unique and cinematic backdrops to enjoy some of the very best live artists Merseyside has to offer. Explore the spacious rooftop and see Liverpool from all angles as you enjoy a live music event that you’re sure to remember for a long time to come. With the option to set up our stage both outdoors and indoors, our sessions will be rocking rain or shine. 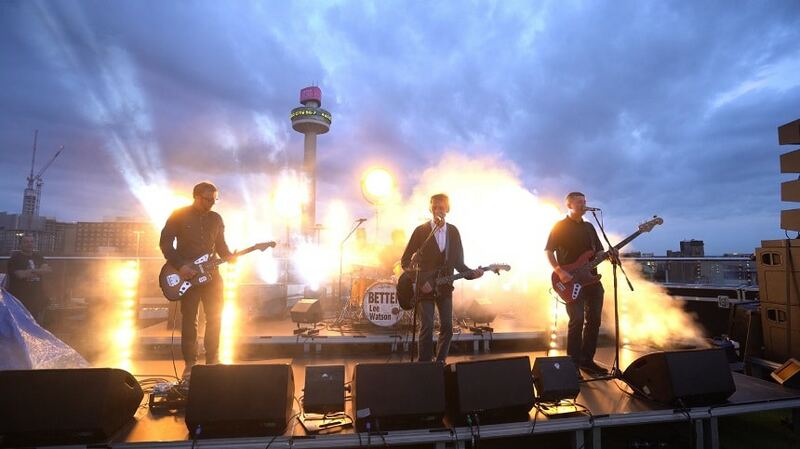 What’s better than watching some of your favourite bands take to the stage in front of the stunning backdrop of the Liverpool sunset? As always, doors open at 7:00pm with our first act taking to the stage at 8:00pm. Why not get down early and enjoy a cocktail or a cold pint in this unrivalled venue? There will be delicious food available and the chance to meet and chat with the bands. Make sure you don’t miss out on the action by securing your FREE ticket via Eventbrite today. Join us in the Bastion at The Shankly Hotel this Sunday 10th December for the hotly anticipated Merseyside Derby. 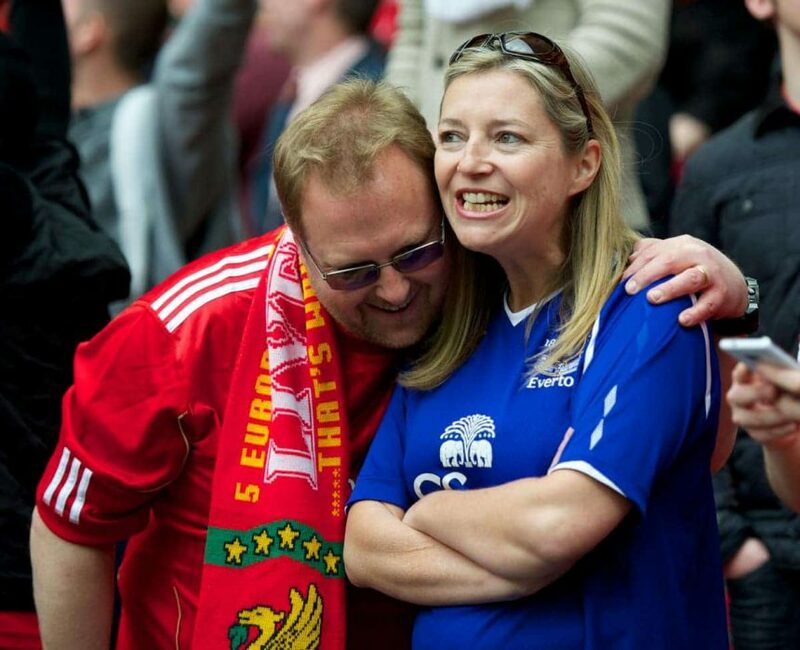 Liverpool FC will be taking on fellow scouse rivals, Everton, in the first meeting of the season. Starting at 2.15 pm, we will be showing the game in our famous Bastion Bar and Restaurant and offering exclusive offers to all fans. We can’t wait to see who comes out on top in this historic fixture. Make the most of this great contest with our derby day offers and watch the game in the amazing atmosphere of the Bastion. For just £12.95 per person, you can enjoy delicious food and a drink, live entertainment, plus match day drinks offers at the bar. From arrival and throughout the game we will be offering 4 pint pitchers for £10, 5 bottles for £12 and double up on house spirits for £1 extra. 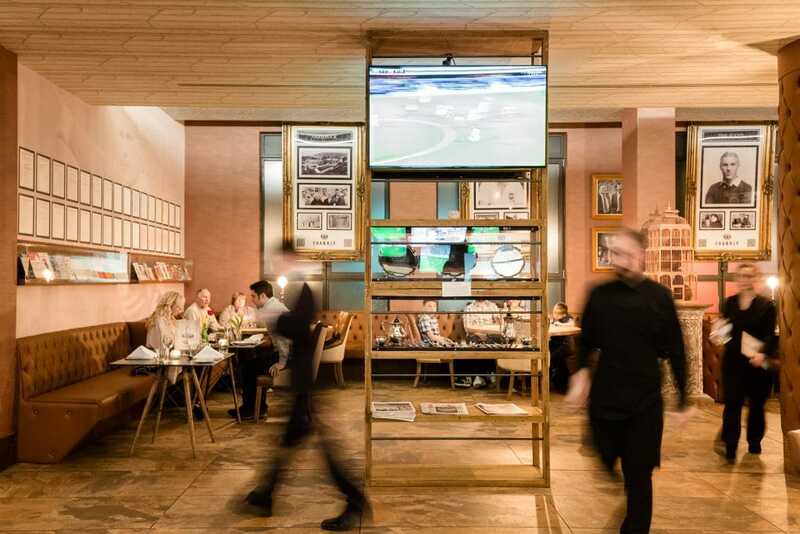 Hosted in our Bastion Bar and Restaurant surrounded by the exclusive Shankly memorabilia, the game will be shown live on numerous big screen TV’s. If you enjoy your match day at the Bastion, which we’re sure you will, you can consider joining our Premier League club. Click the link for more information. It is the longest running top-flight derby in England, having been played continuously since the 1962–63 season and is known around the world as the ‘friendly derby’. Liverpool host the Blues in the 229th Merseyside derby this Sunday, looking to secure a fourth straight victory over their local rivals under Jurgen Klopp. Saturday’s victory took Liverpool into the Premier League’s top four, with Klopp’s side having won five of their six fixtures since their 4-1 defeat to Tottenham in October. However, the Blues will visit Anfield in good form, having recorded back-to-back victories to coincide with Sam Allardyce’s arrival as new manager. It is sure to be a close contest and we can’t wait! A beautiful bar and restaurant set in the heart of The Shankly Hotel, the Bastion is the perfect place to watch the Merseyside Derby. You’ll find yourself surrounded by fans just as passionate as you are and have the chance to spend some time discovering memorabilia including Bill Shankly’s personal typewriter and original LFC contract. We recognise the importance of football to the people of Liverpool and believe that the Bastion celebrates and pays tribute to one of the greatest managers Liverpool has ever seen. This offer also includes a pre-match meal in the Bastion Restaurant. 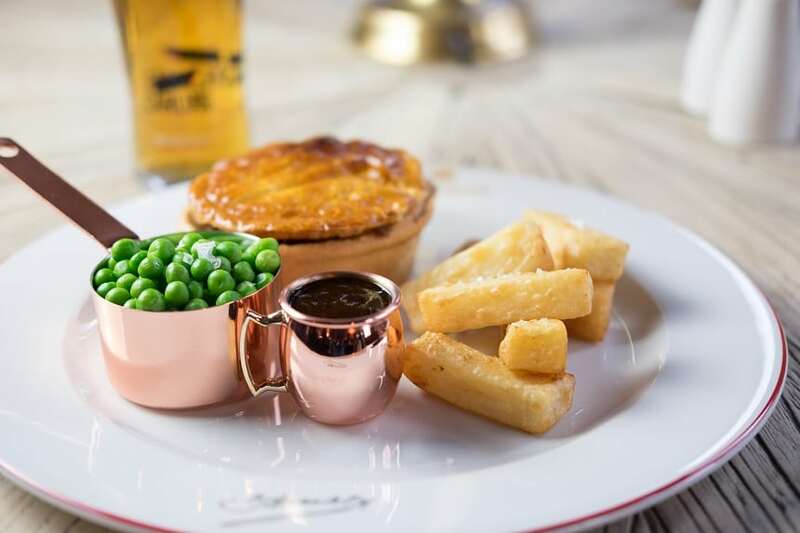 The menu offers everything from delicious grilled Sirloin Steak to the Shankly pie of the day or a traditional beef burger, served with an array of delicious sides. Don’t forget to wash it all down with a pint and really make the most of match day. 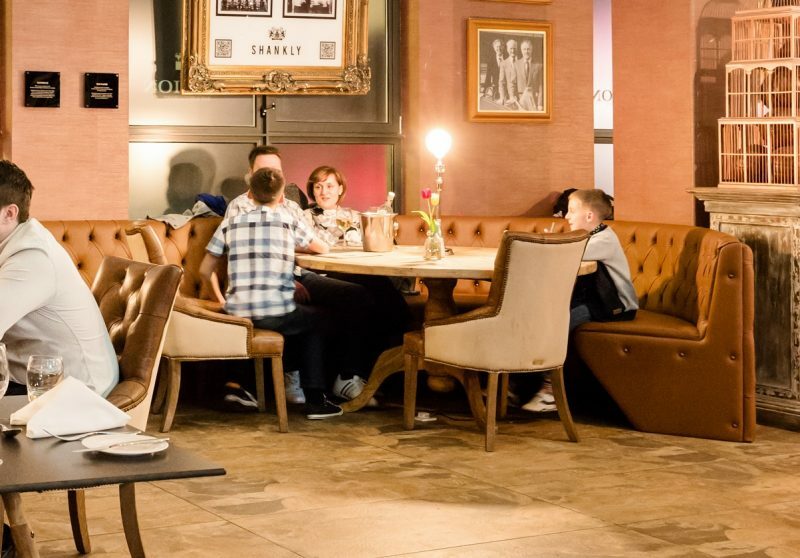 Perfect for groups of family and friends, the Bastion offers an unrivalled atmosphere with a special buzz on match days. Why not book an overnight stay and have the ultimate football celebration for the Merseyside Derby, The Shankly are here to make your experience the best it could be. Recently voted the best sporting city in the UK, Liverpool has a long history with football and the Shankly Hotel are proud to be a part of it. To book your place for this amazing match day offer, call our friendly team on 0151 541 9999. Join us for the ultimate Christmas party in the amazing Garden of Eden on Saturday 9th December and celebrate the festive season in style. Set on the rooftop of the luxurious Shankly Hotel, this stunning venue is the perfect backdrop to enjoy an unforgettable Christmas party. So, gather your friends, family or co-workers and join us as we raise a glass to the most wonderful time of the year. Celebrate the yuletide season with us in the breathtaking Garden of Eden on Saturday 9th December. 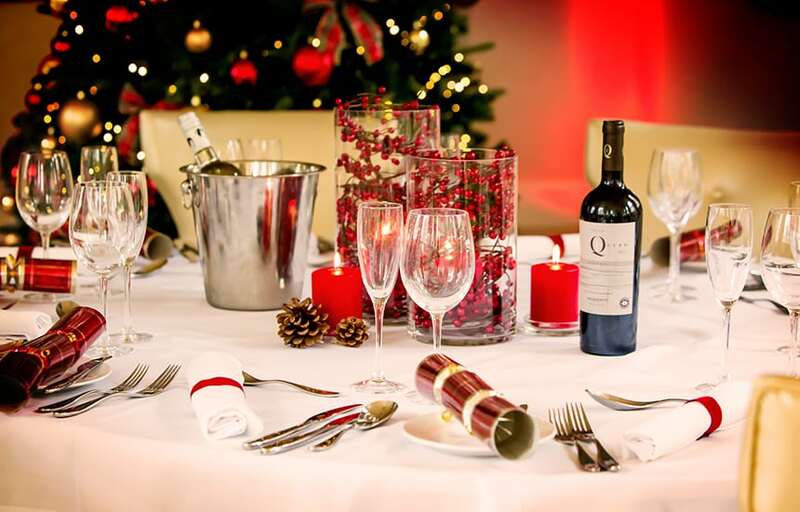 Your amazing Christmas party will include a delicious 3 course meal and a complimentary glass of fizz on arrival. Our festive menu features a luxurious range of delicious Christmas classics, as well as some twists on the traditional dishes. To start, lucky diners can choose spiced parsnip soup with chive cream and parsnip sippets. Or, perhaps the traditional chicken liver pate with a hint of brandy, allotment herbs, crunchy toasts, real ale chutney and our winter leaf salad. Main courses include Cheshire turkey breast with cranberry, wrapped in smoked streaky bacon, chestnut seasoning, roast potatoes, honey roast parsnips, button sprouts and chantenay carrots, topped with a rich turkey roast gravy. Vegetarians can indulge in the parsnip and truffle pudding with roast chateau potatoes, oven roasted winter vegetables and tangy apple sauce. And of course, it wouldn’t be Christmas without pudding! You can end your delicious meal with sweet treats including our chocolate and orange cheesecake, a wild berry and Kirsch tart, or delight in the coffee infused tiramisu with black coffee syrup and brittle chocolate. The festive period is a time to treat yourself, after all! As well as all of the delicious food, we’ll be topping off the night with dynamic entertainment from a live band, a singer and DJ. So, eat, drink and be merry in this dazzling space, which will be transformed into a charming winter wonderland. The Garden of Eden is a spectacular venue and a perfect host to your Christmas party. 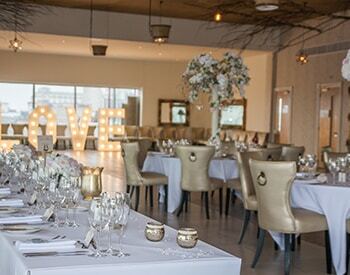 Located in the heart of Liverpool city centre, enjoy this unique rooftop setting surrounded by your closest friends, family or co-workers for an unforgettable celebration. The Garden of Eden features gorgeous interiors and breath-taking views over Liverpool’s skyline. Gaze out at the view whilst you enjoy great festive music, a tasty Christmas menu and the company of your nearest and dearest. We will be decking the venue out with luxurious Christmas decorations and wintery features, to help you really get in the yuletide spirit. If you’d really like to make the most of your Christmas party, why not continue the magic with an overnight stay in one of our Garden of Eden suites? 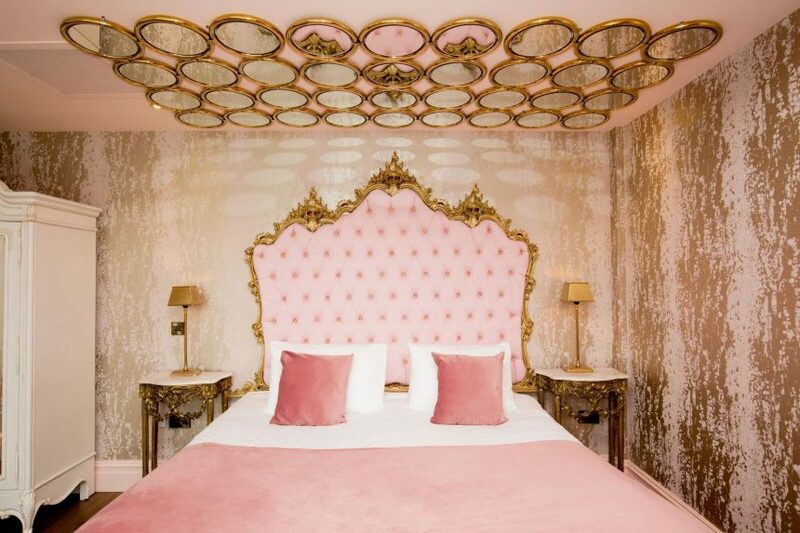 The themed rooms will transport you to another world, with unusual décor and a luxury finish, these beautiful rooms will bring an element of Christmas spirit to your Liverpool stay. Our rooms sleep from 2-24 people, making us the most unique hotel provider in the city. So, for an unforgettable Christmas party, let the team at The Shankly do the hard work, whilst you relax and enjoy a celebration you’ll never forget. 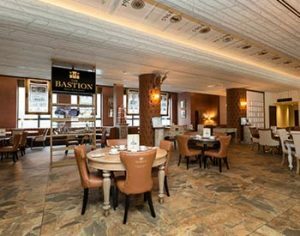 This Christmas, treat yourself to a Festive Afternoon Tea like no other in the Bastion Bar and Restaurant. Indulge in sweet treats, cakes and finger sandwiches with a tasty Christmas twist and make the most wonderful time of the year. 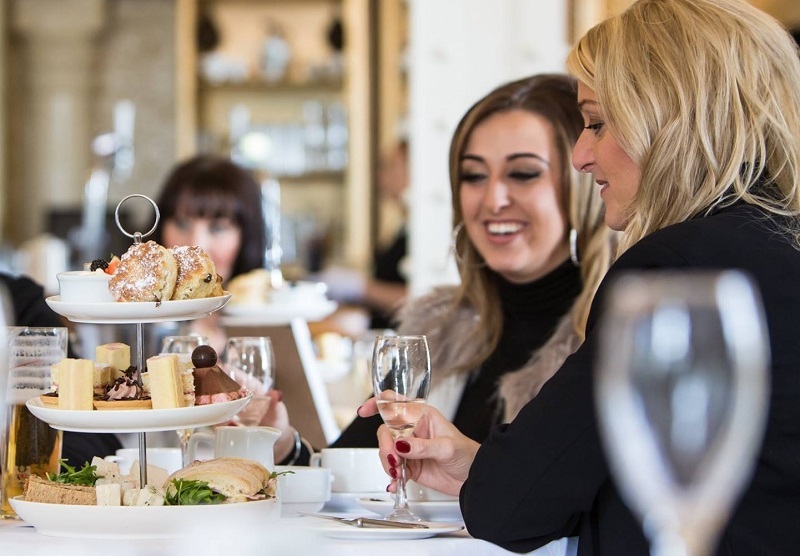 Renowned as being one of the best places in Liverpool to enjoy Afternoon Tea, our team are always striving to create amazing experiences that family and friends will remember forever. This festive season, gather your friends and loved ones for an Afternoon Tea with a quirky Christmas twist. 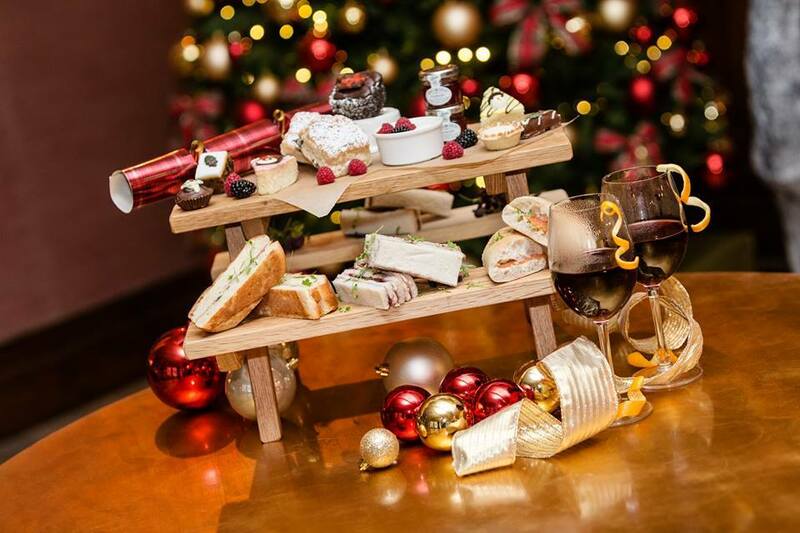 Our Festive Afternoon Tea features classic Christmas sandwich pairings such as succulent slices of turkey with cranberry sauce, smoked salmon and cream cheese, decadent honey roast ham with wholegrain mustard mayonnaise, creamy mature cheddar and tangy pickle and delicious grilled chicken Caesar. These scrumptious finger sandwiches will be served with some tasty sweet treats, to really get you in the Christmas spirit. Indulge in a range of mini Christmas tree cupcakes and iced minced pies, plus a white chocolate truffle snowball, meringue snowmen, Marzipan fancies, Christmas cake and macaroons. This delicious food is served with festive decorations and your choice of tea and coffee, or why not indulge in one of the Bastion’s delicious hot chocolates. 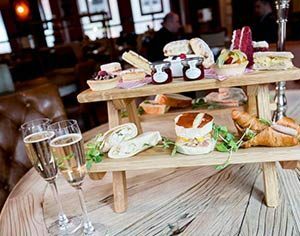 For just £24.95 per person or £29.95 per person including a glass of bubbly, our Festive Afternoon Tea is a magical event that is not to be missed. Served in the stylish and welcoming Bastion Bar and Restaurant, the delicious Festive Afternoon Tea is the perfect treat to celebrate Christmas. 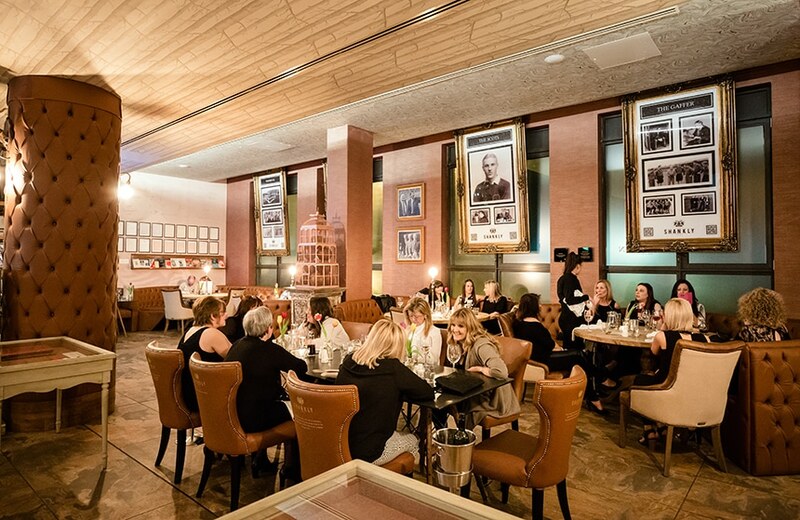 Tuck into your tasty food while you sit back and relax in the stunning bar dedicated to the great Bill Shankly. Surrounded by iconic sports memorabilia, such as Bill Shankly’s original LFC contract and personal typewriter, there are few better locations to catch up with friends and family. Decor at The Shankly blends classic and contemporary style, creating the ideal feel for a sophisticated afternoon tea. It’s the most wonderful time of the year, so celebrate in style. So, whether you’ll be celebrating a special occasion, simply fancy a treat or stop off after some Christmas shopping, our Festive Afternoon Tea is the perfect opportunity catch up with friends or simply to treat yourself. 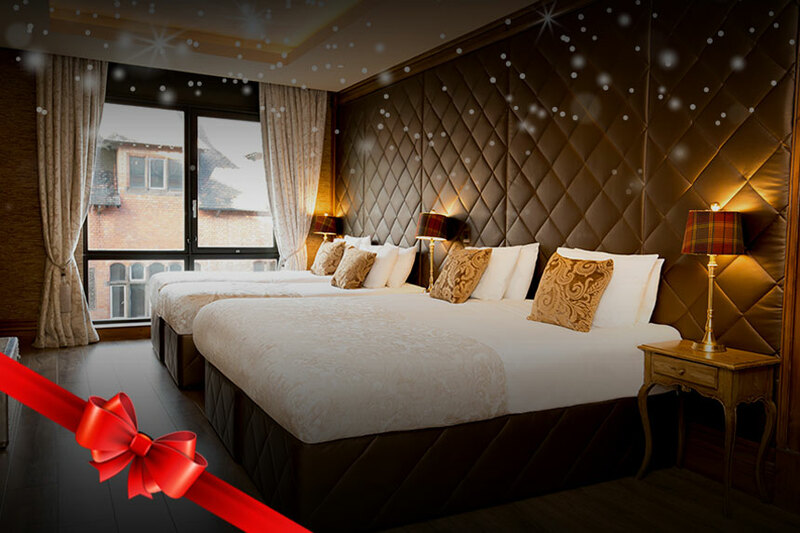 If you’re looking for the ultimate treat this festive period, book a stay at the Shankly Hotel for Christmas. Our hotel offers luxurious rooms that feature Jacuzzi baths, the perfect place to rest your head after a decadent afternoon of indulgence. 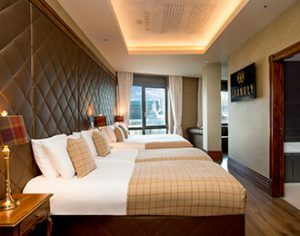 Set in the heart of Liverpool city centre, The Shankly Hotel is a tribute to the life and career of one of football’s finest managers. Our rooms and suites are as unique as Bill Shankly himself, offering comfortable, stylish and spacious accommodation for our guests. Located on bustling Victoria Street, you’ll find plenty to do surrounding the hotel. We have a range of wonderful hotel offers to make your Christmas all the more magical. Take a wander of Liverpool’s enchanting Christmas markets or explore the city’s top bars and restaurants. With the announcement of our brand new lunch menu, we thought we’d pick out some of our favourite dishes on offer. From traditional Liverpudlian cuisine to sophisticated dishes that are perfect for special occasions, the new lunch menu from The Bastion is full of treats and surprises that will have you coming back to try more. A classic dish in Liverpool, we’ve added this all time favourite to our new lunch menu. 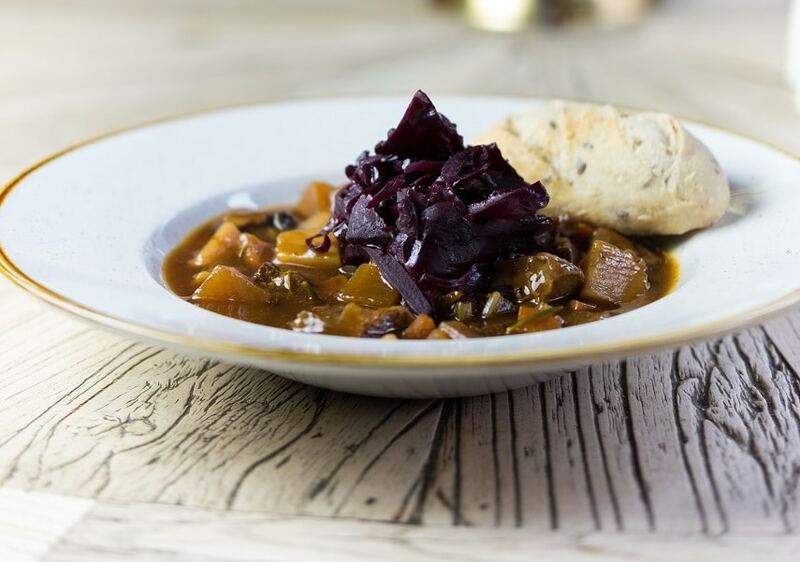 A hearty bowl of meat stew bursting with flavour, served with red cabbage and freshly made crusty bread, it’s the perfect dish to warm you up as the months get colder. Continuing with our hearty, traditional dishes, we’ve added a Shankly pie into the mix. Each day the pie will be a different flavour, so you can ask your server for the pick of the day. Served with chunky chips and garden peas, it’s the ideal meal to enjoy on match days. 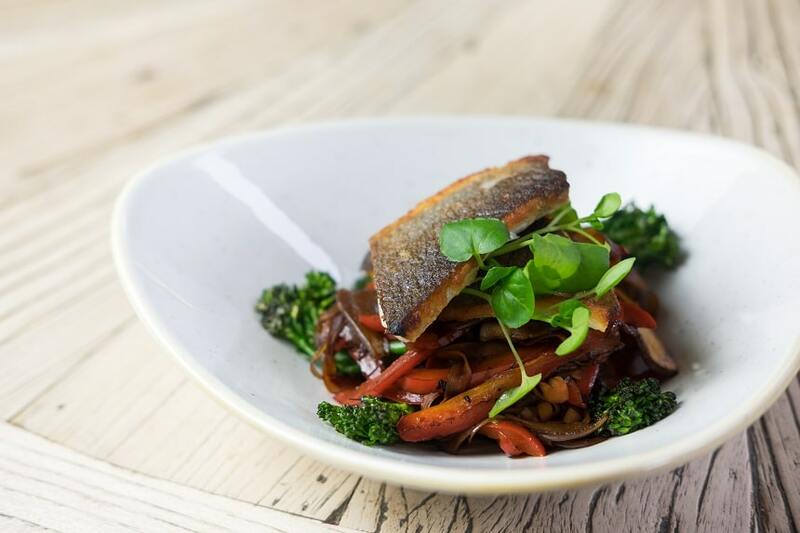 One of our favourites from the new menu, this light and fluffy pan seared seabass fillet is served with stir fried onions, peppers, broccoli, carrots and mushrooms and drizzled with a sweet soy and ginger dressing. Beautifully presented and perfectly cooked, this oriental fish dish is an instant hit. A healthy option on the new menu, The Bastion super (sub) salad is bursting with vibrant colours and delicious flavours. It is packed with sweet potato, pomegranate, toasted pine nuts, mixed cress, broccoli, avocado, chilli fl­akes, crumbled feta cheese, sliced almonds and a splash of olive oil. A perfect treat for vegetarians, or meat eaters can add some succulent chicken breast or poached salmon. 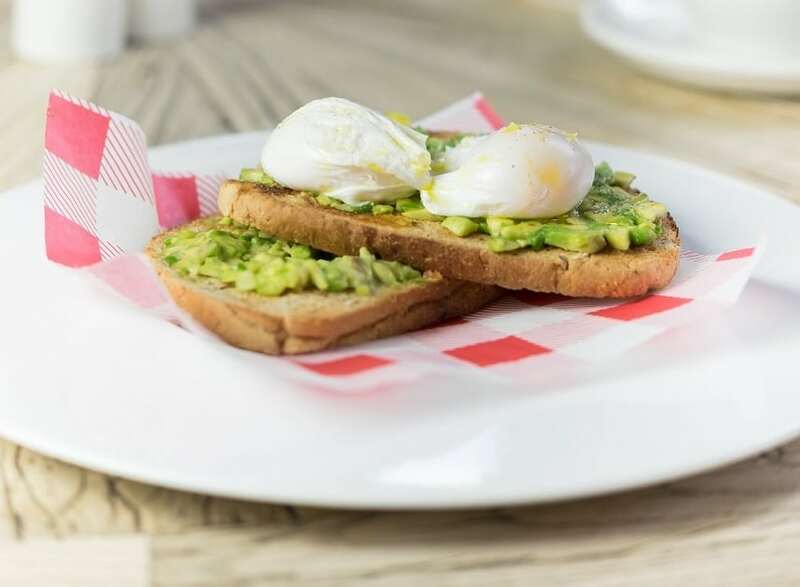 One of our delicious brunch options, this crushed avocado sits on thick, crusty toast and is topped with 2 perfectly cooked poached eggs and a squeeze of tangy lime. A great light brunch choice from The Bastion Bar and Restaurant. 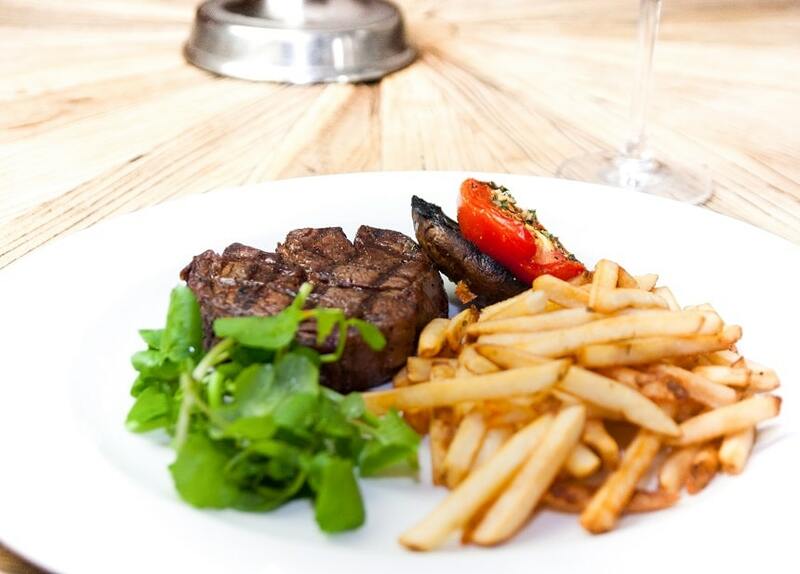 A delicious classic, our steak with frites is sure to be a winner with our guests. Cooked to your liking, pan fried 170g rump steak is served with tasty skinny fries, a grilled half tomato and watercress. A glorious vegetarian option, this curry dish is creamy, rich and perfect for enjoying during the autumn months. It is packed with subtle spices and flavours with fragrant sweet potato, courgette, spinach and chickpea, served with beautiful coconut and chilli jasmine rice. Don’t forget to enjoy this creamy curry with a tasty cold beer and really make the most of the vibrant flavours. Last but certainly not least is the old faithful Shankly burger. 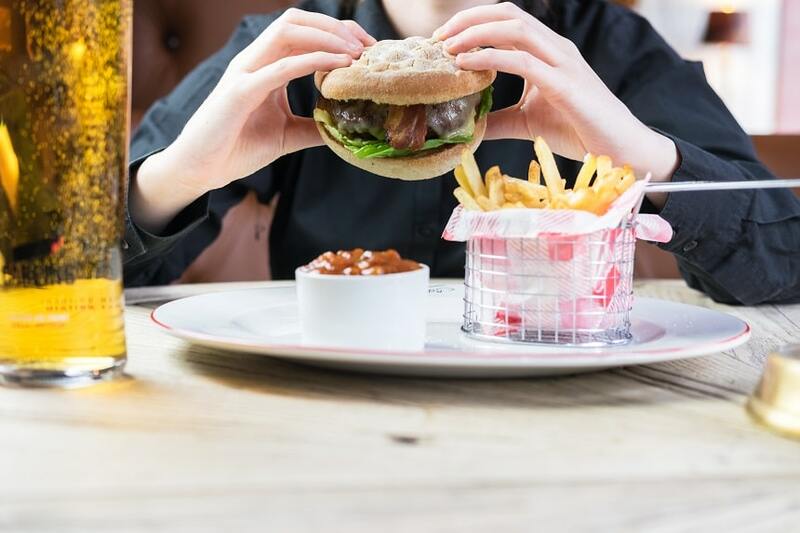 A classic for any meat lover, tuck into 226g of ground beef, topped with chunky cheddar cheese and smoked streaky bacon on a toasted bun with The Bastion house burger sauce, beef tomato and lettuce. This delicious burger is served with skinny fries and a choice of sauces. Another match day favourite that we’re sure Shanks would be proud of. Join us at The Bastion Bar & Restaurant for a truly unique dining experience. Immerse yourself in the wonderful world of Bill Shankly as you sip on beautifully mastered cocktails or a pint and tuck into spectacular food from our brand new lunch menu. 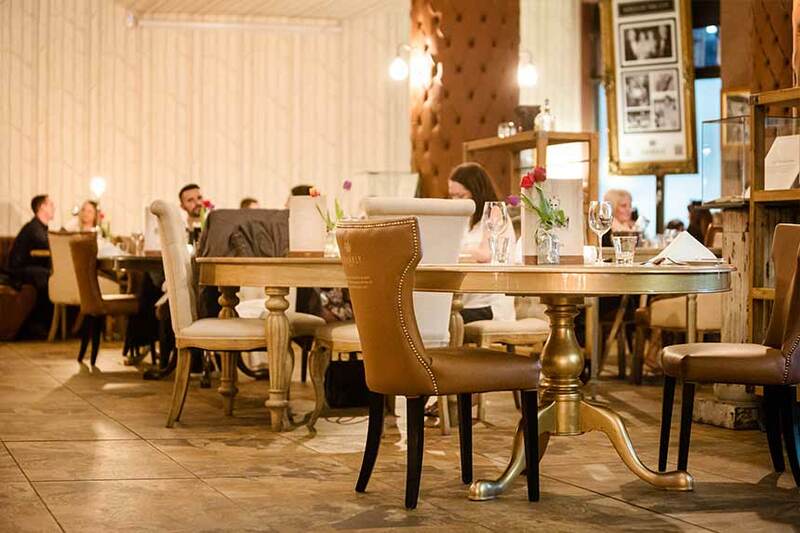 A striking restaurant in the heart of Liverpool city centre, The Bastion is the perfect place to experience memorable moments with your loved ones. If you’d like to book a table to enjoy our brand new lunch menu, get in touch with our friendly team today. Whether you’re looking for fun festive activities to do with the kids or the best winter shopping destinations, check out our 12 magical reasons to visit Liverpool this Christmas. With less than 50 days until Christmas, it’s time to start planning how you’ll be spending the run up to the most wonderful time of the year. Let The Shankly Hotel take care of the planning. The amazing ice festival is returning to Liverpool’s Pierhead this year for a frosty occasion that the whole family can enjoy. The festival will feature a super-sized triple ice slide, a large ice rink, a giant ferris wheel and 50 traditional German market stalls. The high speed thirty metre ice slide will allow racers to skim along from six metres above the festival as the Three Graces and the Mersey whizz past. Visitors will also be able to enjoy shopping at a new traditional Christmas market with 50 stalls, three German-style bars and a pop-up Bavarian food court serving up specialities including its famous German sausage cooked over hot coals. There will also be an amazing Ice Bar, featuring a sub-zero room of crystal clear ice sculptures where even the bar, tables and chairs are carved from real ice. It’s one of the best places to visit for a perfect Christmas in Liverpool. This year, Liverpool’s iconic Cunard Building is expecting some very special guests this Christmas. The real Santa Claus will be paying a visit and bringing his team of helpers to throw the ultimate festive kids party. Santa’s Christmas Party will feature everything from the Reindeer Ranch where Santa’s four legged friends will be waiting to say hello, the unmissable opportunity to visit Santa himself and his talented team of Elves, have a boogie at the Jingle Bell Rock disco and watch some festive classics at the seasonal cinema. You’ll also be able to enjoy some delicious food and drink from some of Liverpool’s top restaurants and last but certainly not least, you could win the chance to have your own personal visit from Santa. Santa’s party guests can look forward to jam-packed celebrations with plenty in store for everyone, it’s the perfect reason to visit Liverpool this Christmas. Set at St George’s Plateau, the Waterfront and Chavasse Park, this year’s Christmas markets have promised to be bigger and better than ever. At St George’s Hall there will be over 40 traditional festive style cabins, all decorated with yuletide garlands and frosty, magical lighting, the Christmas markets are always a fabulous treat. Always buzzing with a warm and merry atmosphere, the markets will offer lucky shoppers a range of delicious German themed hot and cold drinks, tasty snacks and of course bratwurst and gourmet burgers. It wouldn’t be Christmas without an abundance of craft stalls, selling handmade jewellery, festive decorations, trinkets and unique gifts. This year there will also be a Windmill bar and children’s rides to keep everyone entertained. If you fancy getting cosy with some delicious yuletide food, look no further than The Shankly’s Festive Afternoon Tea. 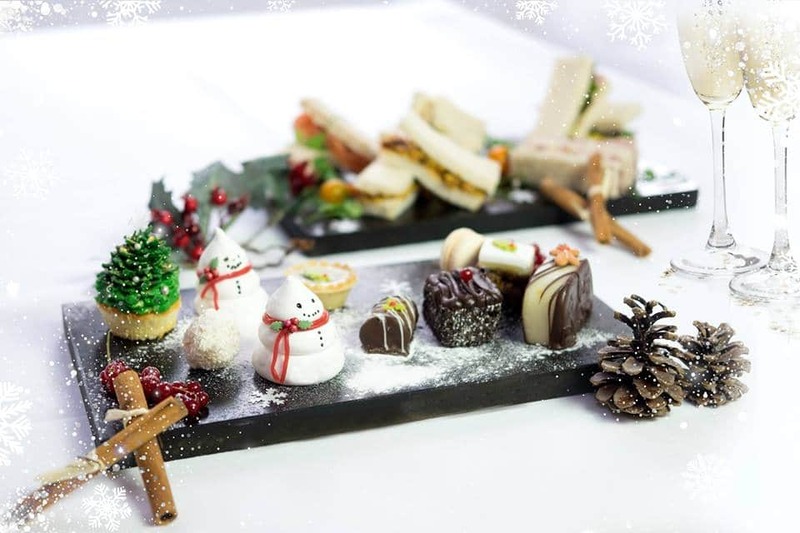 Set within the beautiful Bastion Bar and Restaurant, celebrate Christmas in style as you indulge in delicate festive flavoured finger sandwiches, sweet treats and mini mince pies. Served with glasses of refreshing bubbly and spicy mulled wine, it’s the perfect treat. 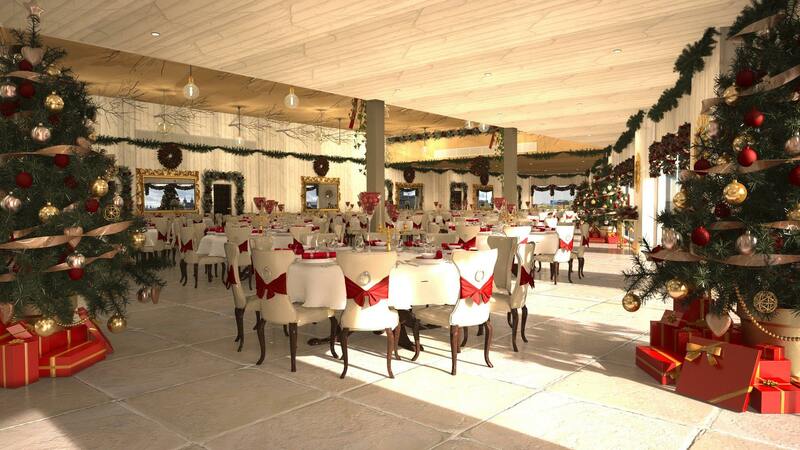 Toast the build-up to Christmas with your loved ones in this stunning setting in Liverpool. 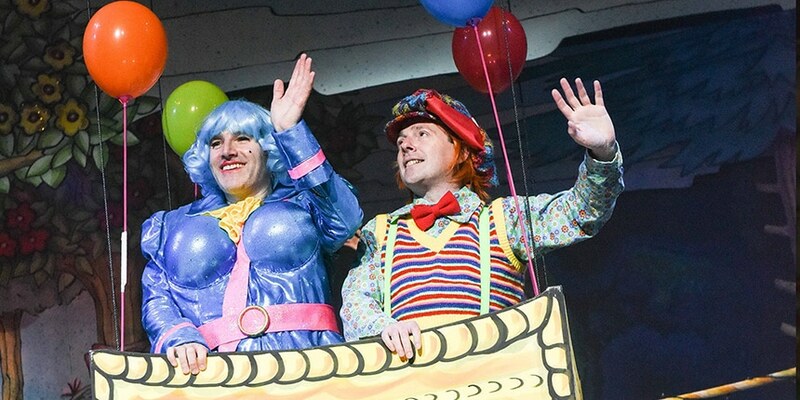 Over the Christmas period, there are plenty of Christmas pantos and plays to keep you and the little ones amused. From fairytale classics to rock n roll singalongs, you can choose from Aladdin, Cinderella, Peter Pan, The Jungle Book and The Little Mermaid to name but a few! Whether you fancy going to the Epstein, Empire, ECHO Arena or the Royal Court, you can get tickets to see your favourites right now. One of the best reasons to visit Liverpool this Christmas is to see the spectacular festive light display. 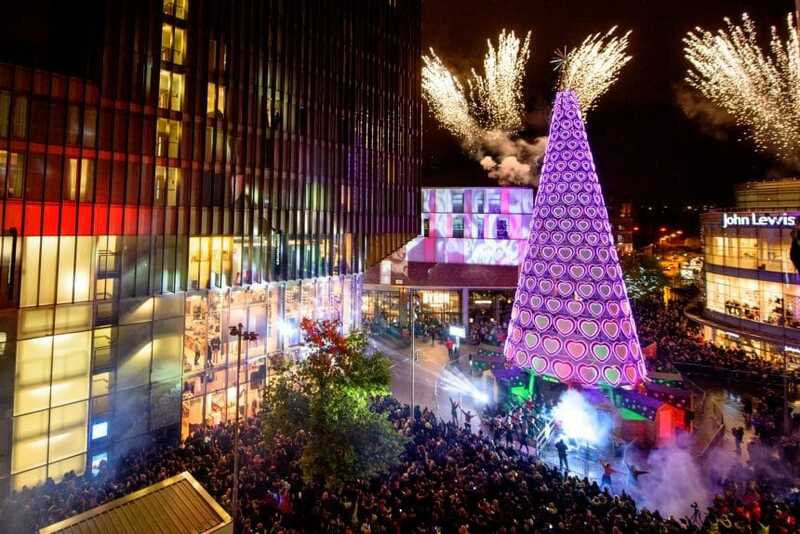 You may have missed the official switch on, but there’s still plenty to see and explore around Liverpool One, Castle Street and Bold Street. What’s a Christmas getaway without some twinkly fairy lights after all! Are you a footy fanatic? Or maybe you love The Beatles? Check out the amazing Shankly Experience Tours and spend your Christmas seeing the sights of Liverpool. From tours that are focused on Bill Shankly’s life, to more general football experiences and days dedicated to the Fab Four, you’re sure to find a package to match you. Perfect for exploring Liverpool during this merry season, these tours are a great treat. One of our favourite Christmas events is when the big red, fairy light clad Coca Cola truck visits the city! It will officially be pulling into Liverpool ONE in early December, so we can all get our selfies in front of it and of course pick up a free can of your favourite fizzy pop. It’s perfect for getting into the Christmas spirit. Visit Liverpool this year for the ultimate Christmas shopping experience. Liverpool is renowned for having some of the best festive shopping destinations in the UK, including Liverpool ONE, the Met-quarter and Bold Street. You’re sure to find the perfect gift, whether you’re looking for something truly unique and boutique, or a bit flashy and designer. The Shankly Hotel also do an amazing festive shopping offer that features a Liverpool Christmas shopping guide, plus an overnight stay and a 2 course meal, check it out here. 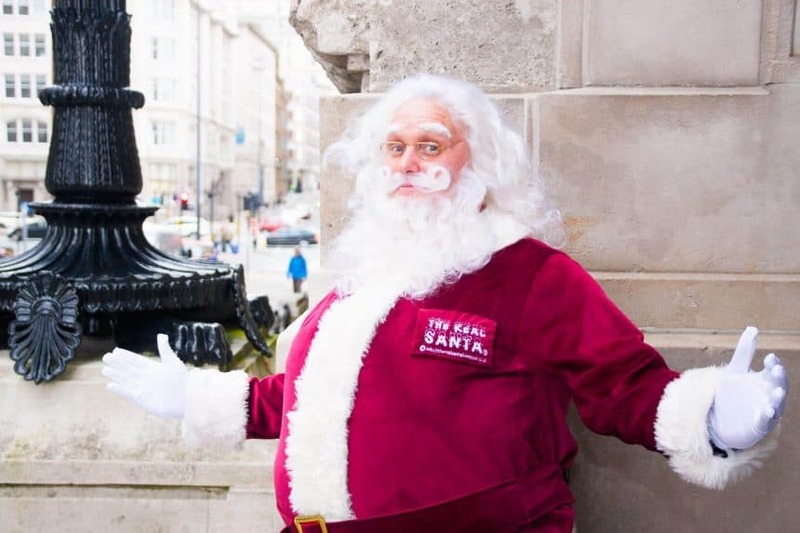 Liverpool’s Santa Dash will see the city’s main streets flooded with hundreds of Santa lookalikes, all to raise funds for Claire House Children’s Hospice. 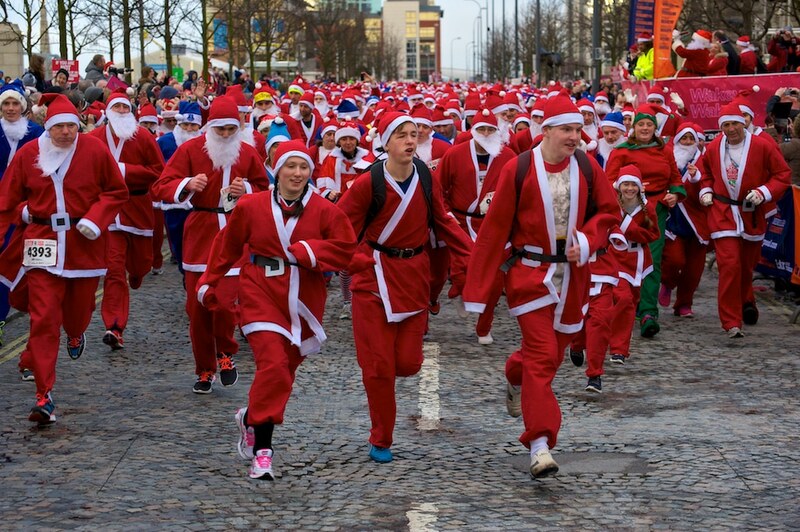 All you need to enter is a Santa Suit and the determination to leg it round Liverpool, fast or slow, it’s up to you. The entire event will then be topped off with live entertainment and a raffle with some awesome prizes. The perfect reason to visit Liverpool this Christmas, you’re sure to feel great once you’ve finished the race. Why not indulge in a delicious Christmas dinner once you’ve finished, guilt free! Harry Potter and the Chamber of Secrets is coming to Liverpool for a spectacular live concert. First released in 2002, the film follows Harry Potter’s second year at Hogwarts School of Witchcraft and Wizardry. Becoming the seventh highest grossing film of all time following its release, this unique showing will bring the film to life with a live symphony orchestra. Prices start from £28, it’s sure to be a magical filled evening. 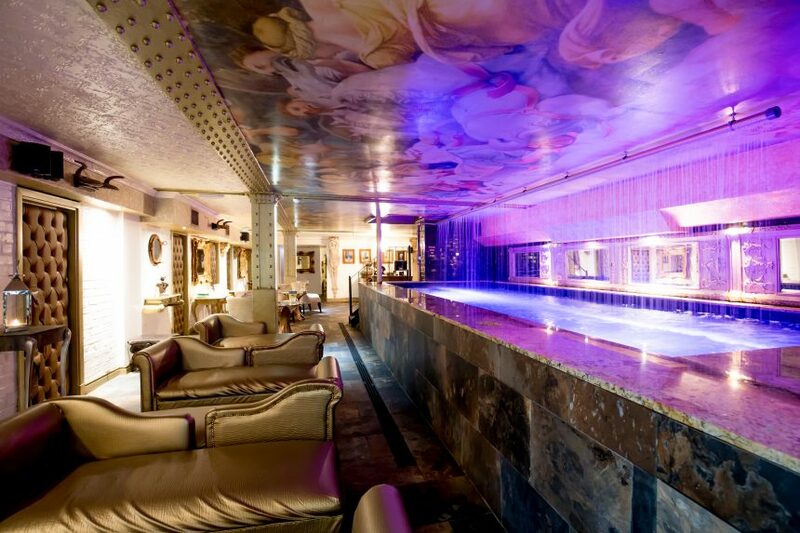 The last reason you should visit Liverpool this Christmas is to discover the amazingly tranquil Morgan’s Spa. Set within the luxurious 30 James Street Hotel, this spa is the ideal place to unwind and relax as you prepare for the hectic festive period. They offer a range of different treatment options, including couple’s massages, rejuvenating body wraps as well as a wide range of beauty treatments and facials. Morgan’s Spa also features a ‘spa pool’ which is an incredible 40 sq ft hydrotherapy pool ideal for relaxing and washing your troubles away. The best place to spend Christmas this year, The Shankly Hotel is a luxurious hotel set in the heart of Liverpool city centre. Bringing a touch of luxury to the festive season, our spacious rooms feature opulent fittings, unique furnishings and Jacuzzi baths. 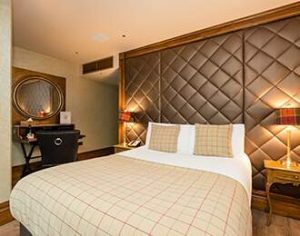 Take a well earned break from the hustle and bustle and spend a rejuvenating overnight stay at The Shankly. Sink into a deluxe double bed for a heavenly night of rest and top it all off with a soak in your very own whirlpool bath. Whether you join us for a day visit or an overnight stay, our dedicated team will ensure that you have the most unforgettable experience. Especially for the festive season, we’ve got some brilliant Christmas offers that are the perfect treat. From shopping guides with overnight stays, to festive afternoon tea and party offers, you’re sure to find one that suits you. To book a stay at The Shankly Hotel this festive period get in touch with our friendly team today and visit Liverpool this Christmas. The kids are finally going back to school, giving you and your partner a well deserved rest and the opportunity to spend some time all to yourselves. Why not really treat your loved one to a romantic date night at The Shankly Hotel and make the most of your new found freedom. Splash out on an evening of luxury and decadence as you wine and dine the special person in your life. 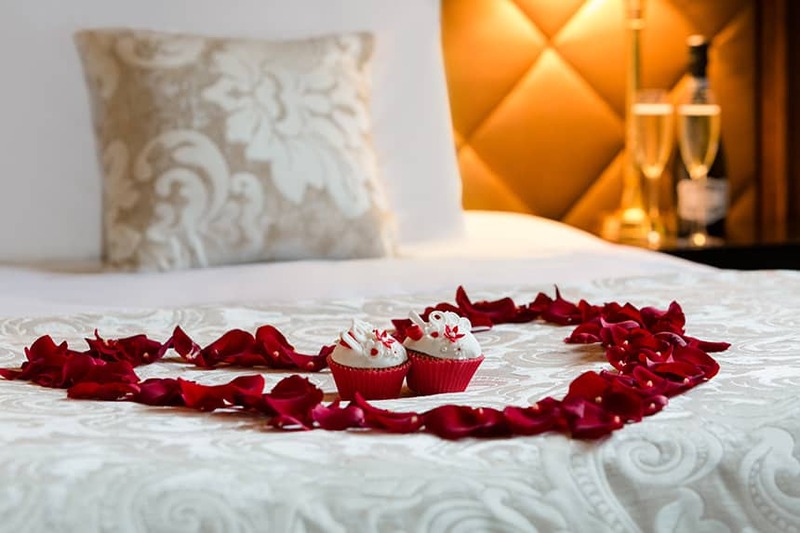 Have an evening to remember with our romantic date night deal from The Shankly Hotel. For just £169 per couple, this amazing offer will allow you to unwind and relax after a summer of entertaining the kids. You and your partner can enjoy an intimate escape, with no chance of the children crashing the party. This ultimate romantic getaway is the best way to really show your other half how much they mean to you. If one night isn’t enough, why not upgrade to a 2 night stay for an extra £79.00 for bed and breakfast. This offer is only available Sunday to Thursday, excluding Valentines Day. If you’d like to book this deal for a Friday night, it is £189 per couple. At The Shankly we pride ourselves on providing the best service to our guests, from our dedicated staff to the luxurious design and features of our rooms, we hope to create a memorable experience for all of our visitors. We love a good date night and promise to make sure your experience is as romantic as it could be. Our football-inspired hotel not only caters to sporting fans, but provides our guests with a sophisticated, comfortable and flexible experience in the heart of Liverpool city centre. 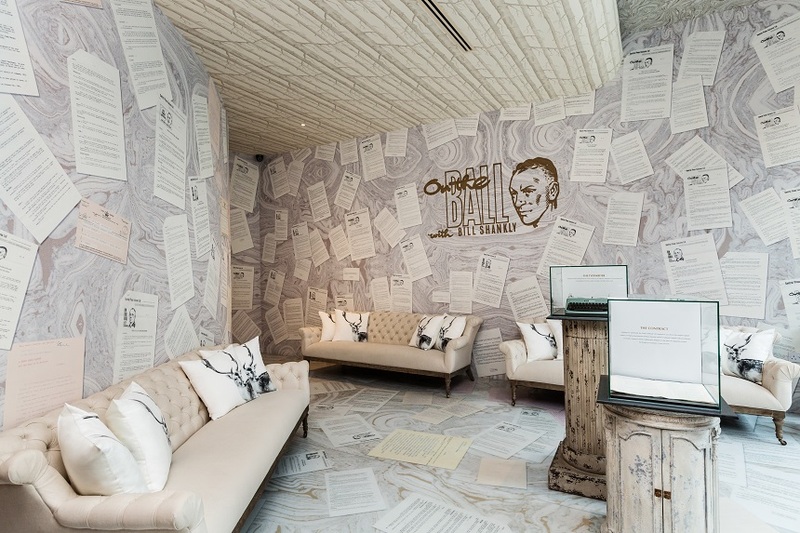 Themed around the footballing legend, Bill Shankly, our hotel is a beautiful tribute to a man that stole the hearts of Liverpudlians. 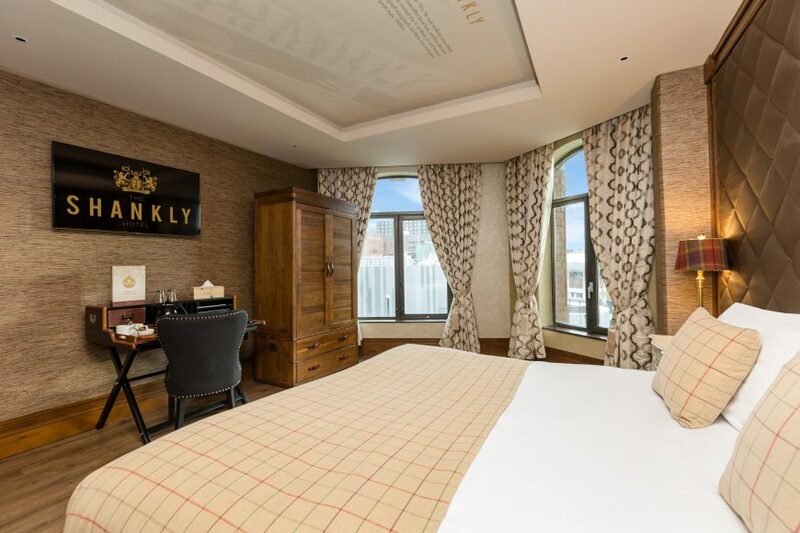 Each room has a décor themed for the hotel’s namesake, reflecting the unique style and individuality of the man himself. The Bastion Restaurant and Bar is a luxurious dining venue and it’s sure to make your romantic meal truly unforgettable. Everything on our menu is expertly crafted by our talented chefs, to ensure you have the most wonderful evening meal. So, sip on beautifully mastered cocktails, tuck into spectacular food all within this striking restaurant and have an evening to yourselves. When you’ve finished your delicious meal, carry on the evening by exploring the Shankly museum. You and your date can peruse a huge collection of rare Bill Shankly memorabilia all of which has been donated by the Shankly family and used to preserve the memory of a legend. Learn more about the greatest player and manager in footballing history, and how his strong personality and character helped shape the Shankly Hotel and the Shankly families’ future. To book your romantic date night, get in touch with one of our friendly team today and celebrate the kids returning to school. Will You Be Eating For Free This Monday? 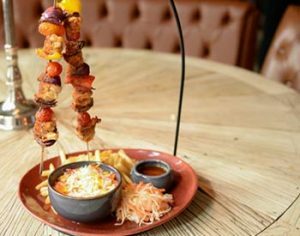 At the Bastion Bar and Restaurant in The Shankly Hotel, we are offering lucky diners the chance to eat for free this Monday. Are you feeling the Monday blues and fancy a treat to get your week off to a good start? Join us at the Bastion Bar and Restaurant for a truly unique dining experience and make the dreaded Monday something to look forward to. 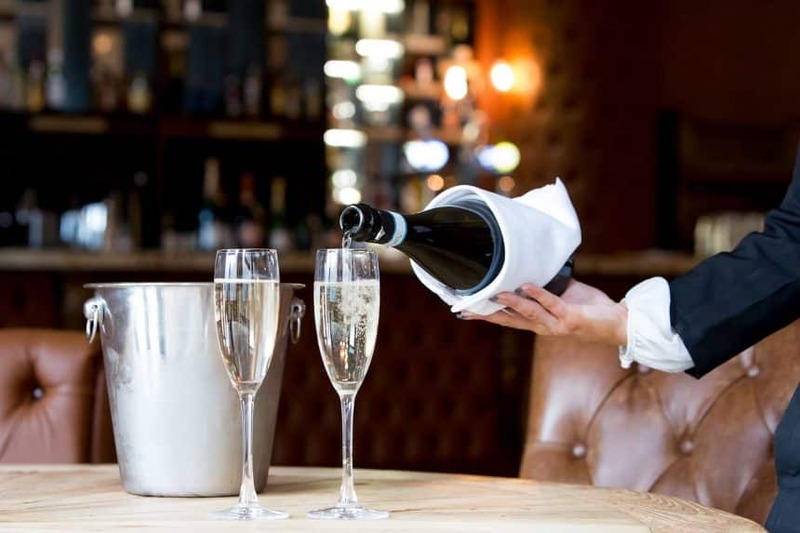 All you need to do is book a table in our stunning restaurant, enjoy your delicious meal and wait until the end of the night when we will announce which table have won their meal for free! Yes you read that right, every Monday one table will be chosen at random to have their entire bill payed for. If that sounds like your kind of deal, then book a table in the beautiful Bastion Restaurant and keep your fingers crossed. Soak up the wonderful atmosphere as you enjoy delicious home cooked meals from an eclectic menu; it’s truly the best Monday treat. At The Bastion Bar & Restaurant, we pride ourselves on serving only the highest quality dishes, from traditional meals to less formal, lighter bites for sharing and socialising. 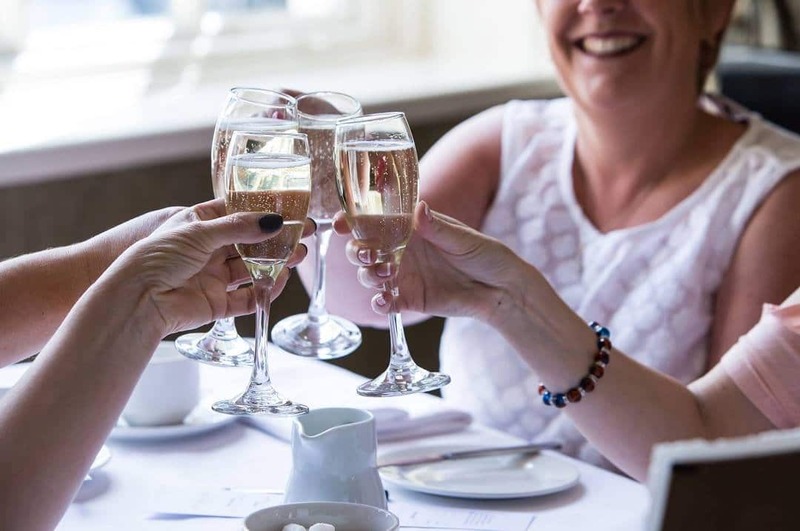 Whether you fancy a three course luxurious meal with your nearest and dearest or just a wonderful evening of sharing dishes and tasty cocktails, our extensive menus provide plenty of flexibility. 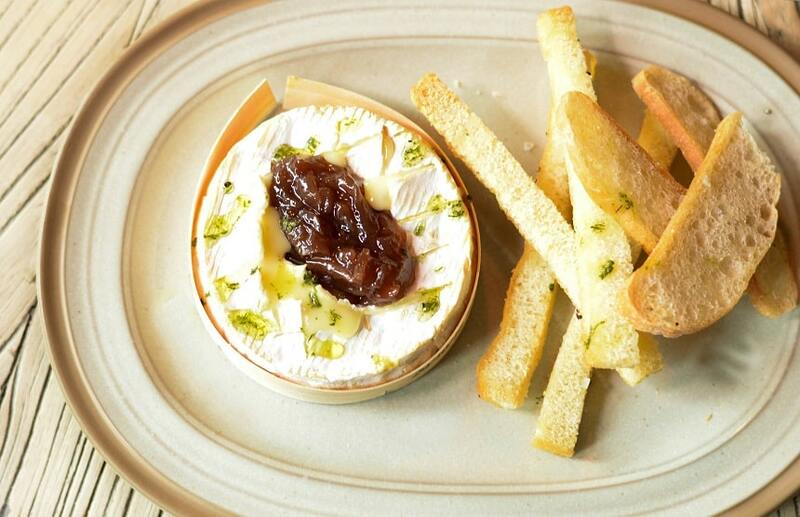 To start why not indulge in the Bastion Bar and Restaurant’s creamy baked goats cheese crottin, served with sticky caramelised onion jam, candied walnuts and a stack of focaccia crisps that are perfect for dunking, it’s a bundle of gooey golden excellence. 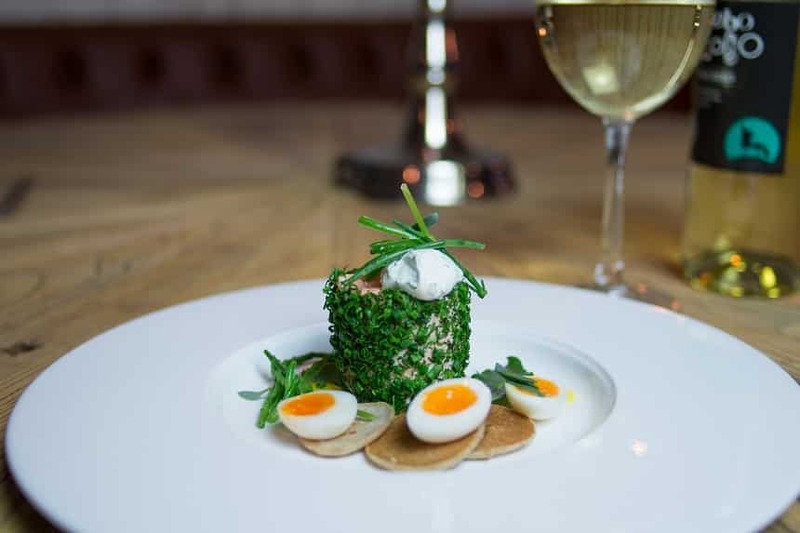 Or, if you fancy a fish dish to begin your meal, delight in our delicious poached Scottish salmon, served on buckwheat blinis and topped with a runny quail’s egg, lemon and sea herbs. 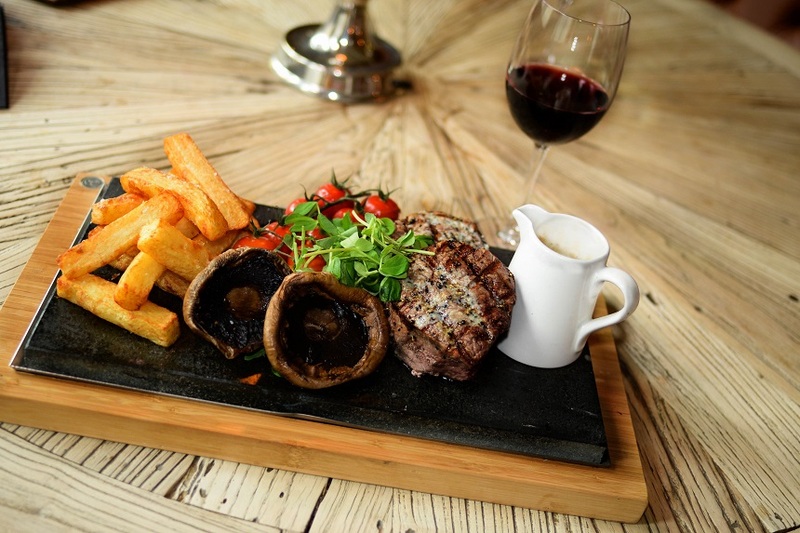 For the main event, diners can choose from a glorious selection of dishes from the grill, including succulent steaks and pork, to the fabulous 16 oz sizzling fillet sharer which is served on a hot stone with rustic hand-cooked chips, a zingy pepper sauce and a side of vine tomatoes and flat cap mushrooms. 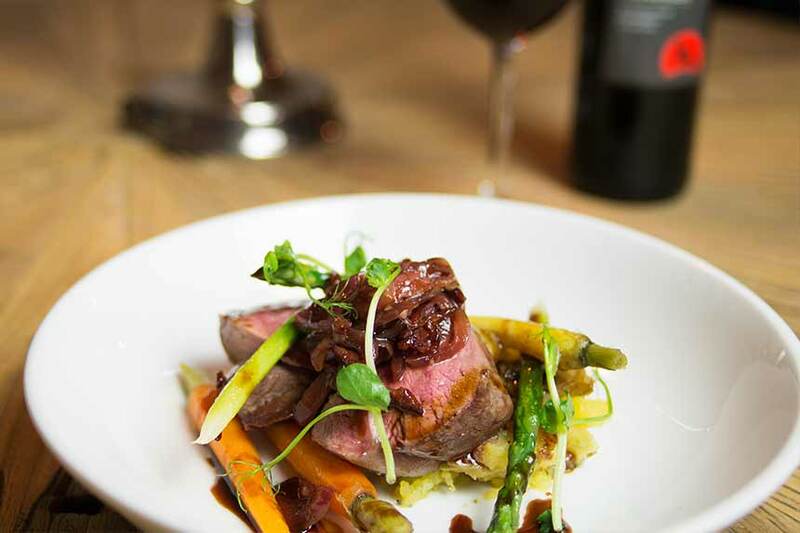 This is accompanied perfectly with a full bodied red wine, if you’re unsure of which is best suited to your dish, our helpful staff will be more than happy to suggest the perfect wine. Vegetarians can choose from delicious spinach and ricotta tortellini served with a fresh pesto and pine nut cream and topped with a crunchy Parmesan biscuit. Or for the spice lovers, we offer a colourful sweet potato, spring vegetable and chilli wellington with hispi cabbage wedge, a crispy fennel salad and onion creme friache. 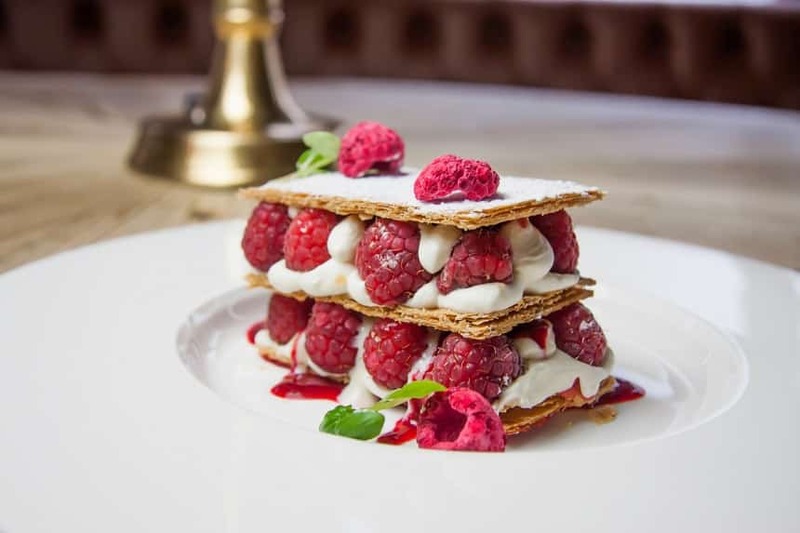 Our dessert menu is bursting with sweet flavours, but our particular favourite is the raspberry and whisky cranachan mille feuille served with a delicious raspberry sauce. Everything on our menu is expertly crafted by our talented chefs, to ensure you have the most wonderful evening meal possible. So, sip on beautifully mastered cocktails, tuck into spectacular food all within this striking restaurant and find out whether you’ll have to the chance to eat for free this Monday. 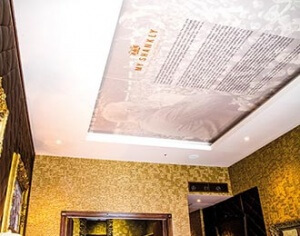 The Shankly Hotel and it’s restaurant are a tribute to the life and career of the great man, Bill Shankly and it would be a shame to miss out on our spectacular display of mementos. Why not follow your delicious meal with a tour of the rare and previously unseen Shankly memorabilia that is on display in the hotel. 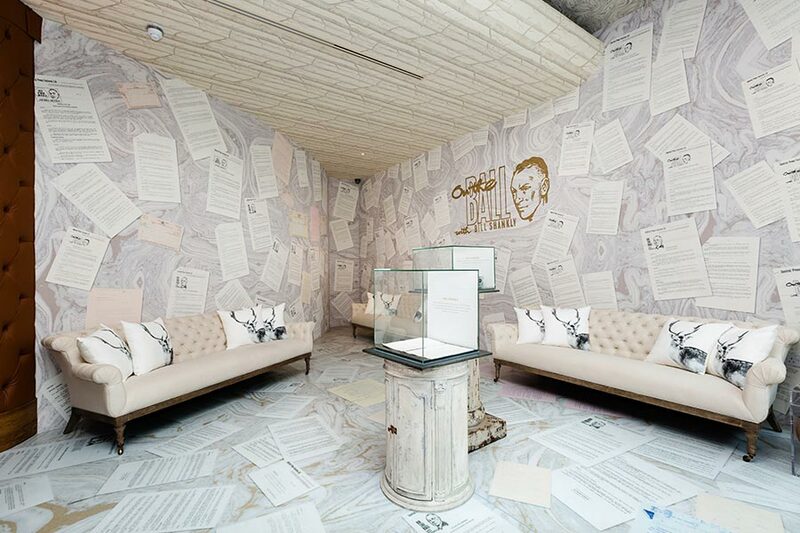 View cases containing Shankly’s awards and achievements, marvel at the letter wall where you can read his hand penned or typed correspondence with other famous names. The Shankly museum is a great insight into a true legend of football, a worthwhile visit for any fan of Shankly. 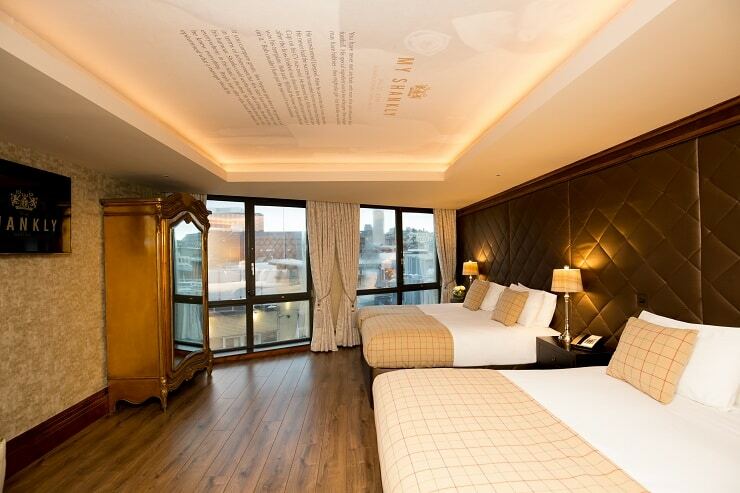 Immerse yourself in the wonderful world of Bill Shankly in our luxurious hotel in the heart of Liverpool’s city centre. If you’d really like to make the most of your visit to our hotel, why not book an overnight stay and make your Monday truly unforgettable. Give yourself a treat to begin the week by experiencing pure luxury in one of our stunning suites that feature grand double beds, opulent fixtures, kitchenettes and beautiful features that have been designed and decorated with comfort in mind. For the chance to be one of our lucky Monday winners, book a table by messaging us on Facebook or calling us on 0151 601 8801. We look forward to seeing you soon and hopefully you’ll have the chance to eat for free this Monday. If you’re looking for a perfect summer activity for you and your friends or family, check out the Shankly’s brand new walking tours that showcase the very best of Liverpool. From the picturesque, idyllic waterfront, to the famous red gates of the Strawberry Field, or the historic cathedrals and the iconic football teams, this city has some of the best cultural sights and landmarks in the world. Take the stress out of sight seeing and book one of our amazing brand new walking tours and experience Liverpool the best way possible. Bring Liverpool to life as you discover the history of our great city and uncover some hidden gems along the way. 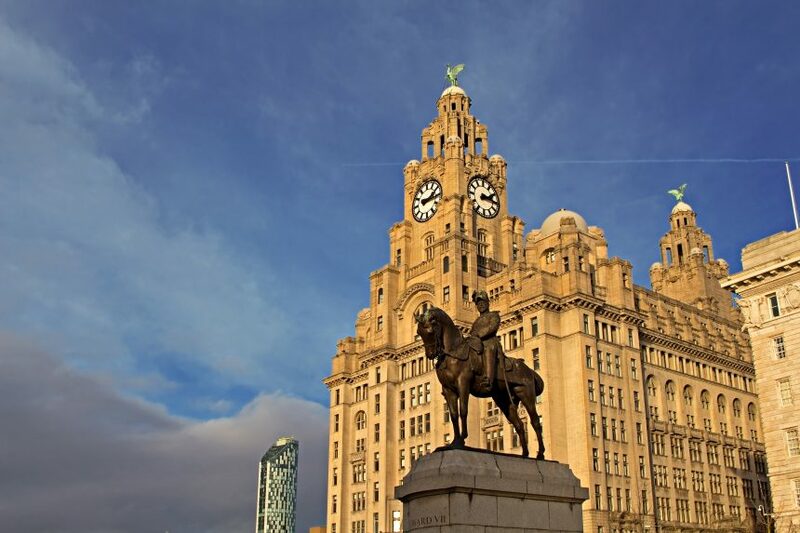 This fantastic tour will last around an hour and a half, starting from the Shankly Hotel and working its way around the must-see city sights. Expect to be impressed by the Chinatown arch, mesmerised by the Bombed Out Church and entertained in the Cavern Quarter. 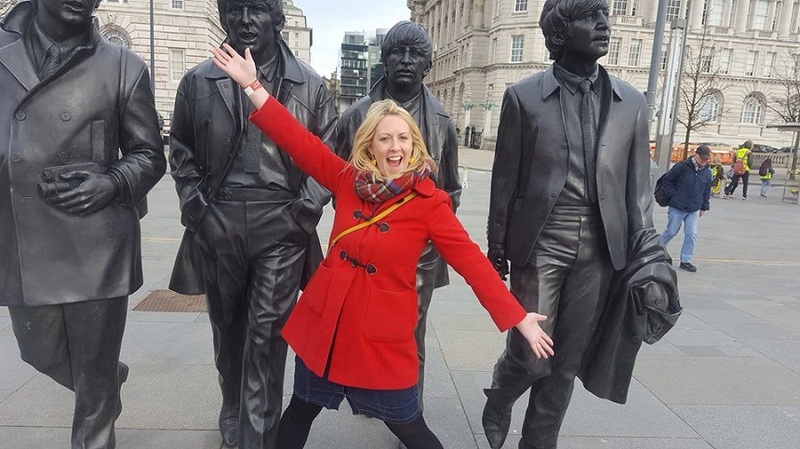 Working in collaboration with Daytripper Liverpool, your tour will be directed by our friendly tour guide Hannah (pictured above), who will ensure you don’t miss a thing! The tour also includes an exciting surprise experience that will be revealed on the day. This secret experience could be anything from a thrilling ride on The Liverpool Wheel, a trip around Cathedral Tower, a boat ride over the Mersey, a traditional Scouse lunch, drinks in the Cavern Club, a spectacular visit to the Radio City Tower or the Empire theatre tour. The tour ends with a coffee stop in the Bastion Bar and Restaurant in the famous Shankly Hotel. Relax with a delicious slice of cake and cup of tea or coffee, as you take in the beautiful surroundings. 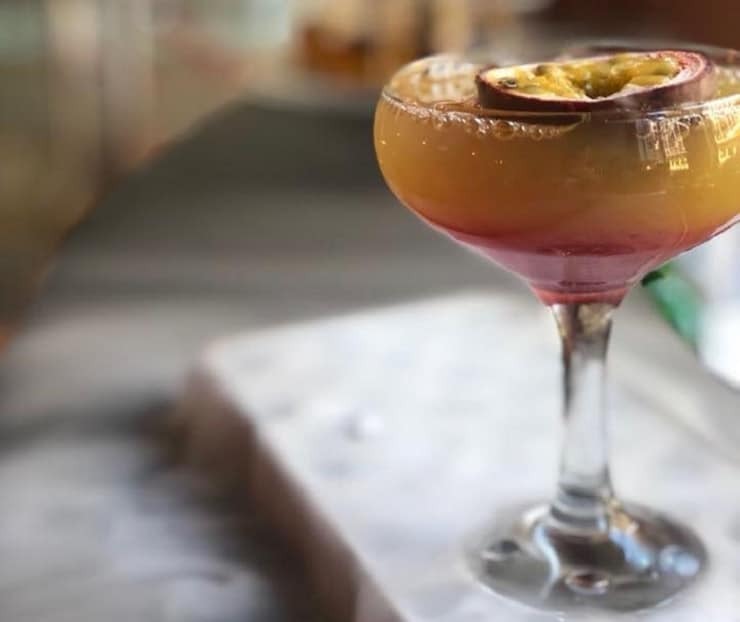 This fabulous tour also entitles you to 20% off at The Bastion Bar & Restaurant, so you can enjoy some of the delicious food and drink they have on offer for an excellent price. Explore all of the places you’ve always wanted to with the Shankly’s Best of Liverpool Walking Tours. As well as the brand new Liverpool Walking Tours, the Shankly is proud to bring you an experience tour that has been designed for especially for students and the option to tailor your own tour that is personal to you. The Shankly Experience will also be launching an exciting day trip designed exclusively for students from language schools and universities. Working in collaboration with Daytripper Liverpool, this tour will include a Beatles themed tour of the city, a British themed lunch at the Bastion Bar and Restaurant, set within the Shankly Hotel and an amazing Liverpool Football Club Stadium Tour. 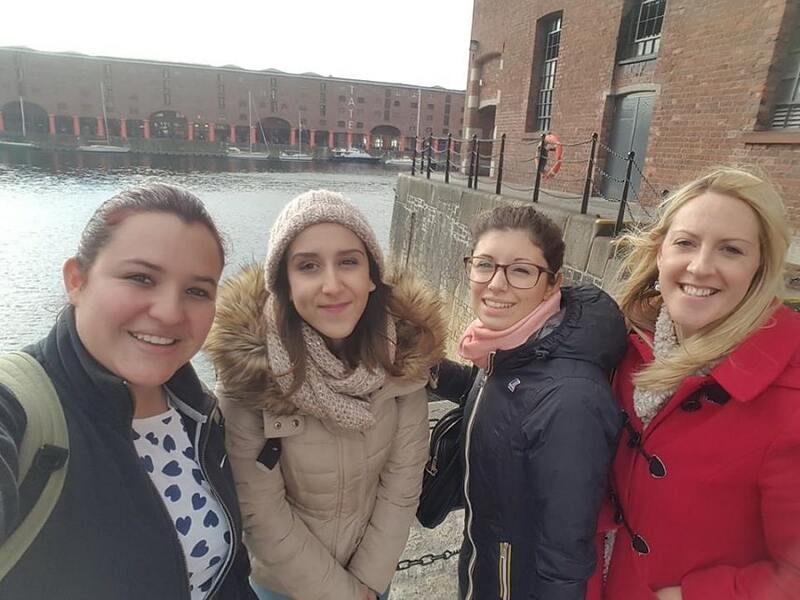 Maybe you’ve got a long list of sights and landmarks that you’re eager to see, why not let us take care of the planning with our customised tours of Liverpool? You can tell us what you’re looking for from your tour of Liverpool and we’ll do our best to create a personalised package that is tailored to you. We can showcase the best of Liverpool by incorporating scenic suburban spots, famous homes and the most striking landmarks of Liverpool.